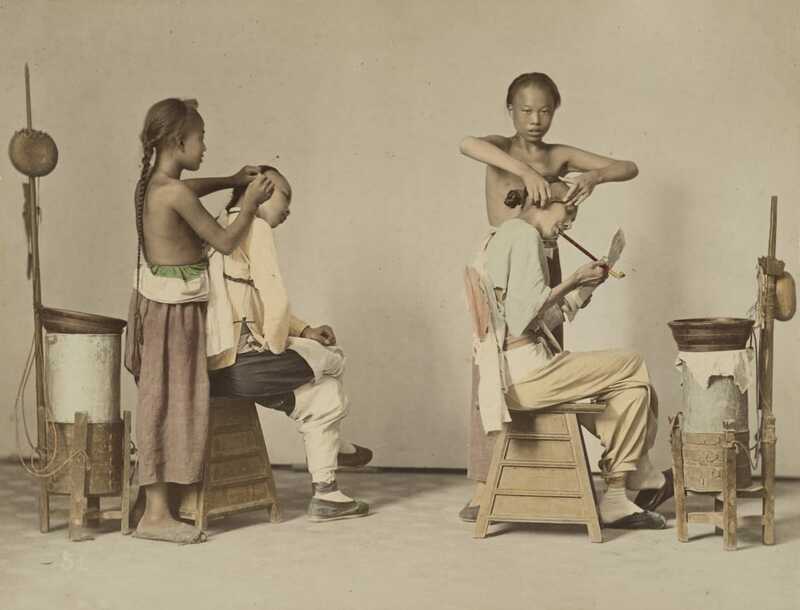 The Walther Collection presents Life and Dreams: Contemporary Chinese Photography and Media Art, the first extensive exhibition of works by Chinese artists represented in The Walther Collection. 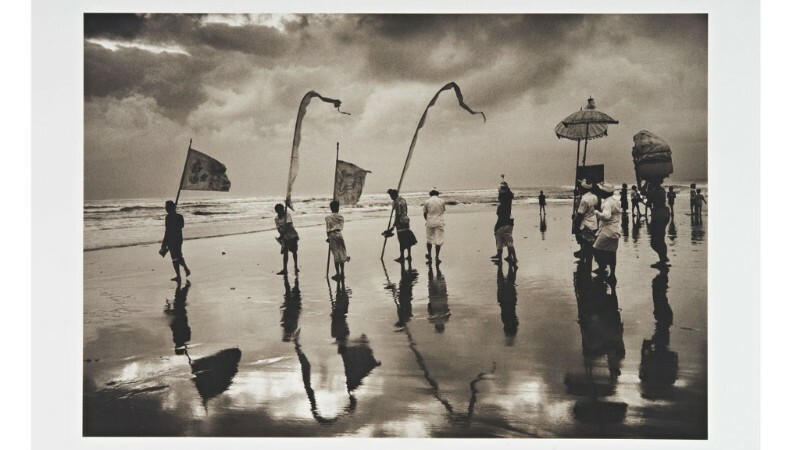 Featuring forty-three artists, Life and Dreams showcases a wide range of groundbreaking photography and media art produced by internationally recognized figures such as Yang Fudong, Zhang Peili, Ai Weiwei, Song Dong, Cao Fei, and Zhang Huan during an era of momentous social and economic change. 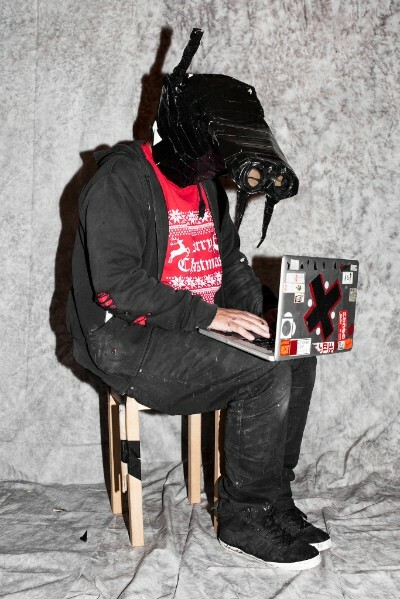 It also incorporates new acquisitions and selected loans of significant media art by innovative younger artists such as Sun Xun, Lu Yang, and Cheng Ran to provide an up-to-the-minute account of the main directions and key achievements in contemporary Chinese photography and media art during the past three decades. 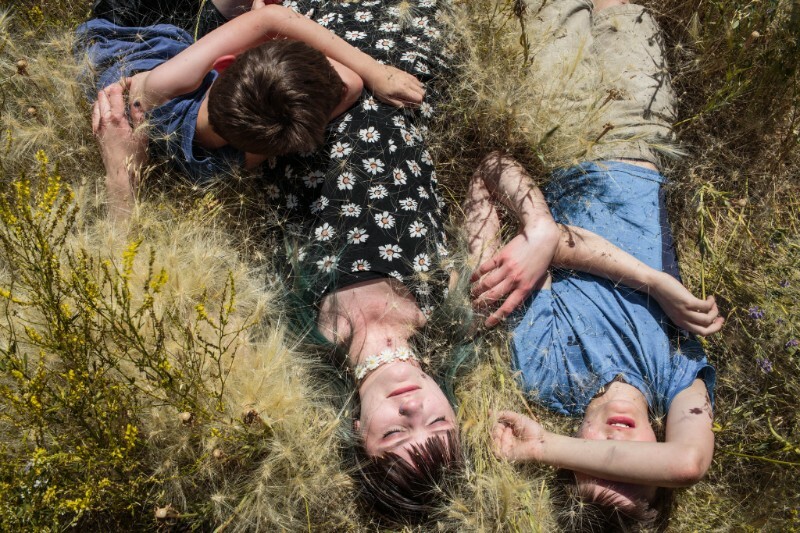 Lucas Foglia (American, b. 1983) is interested in these complexities, and particularly in disputing the notion that people and nature are at odds. 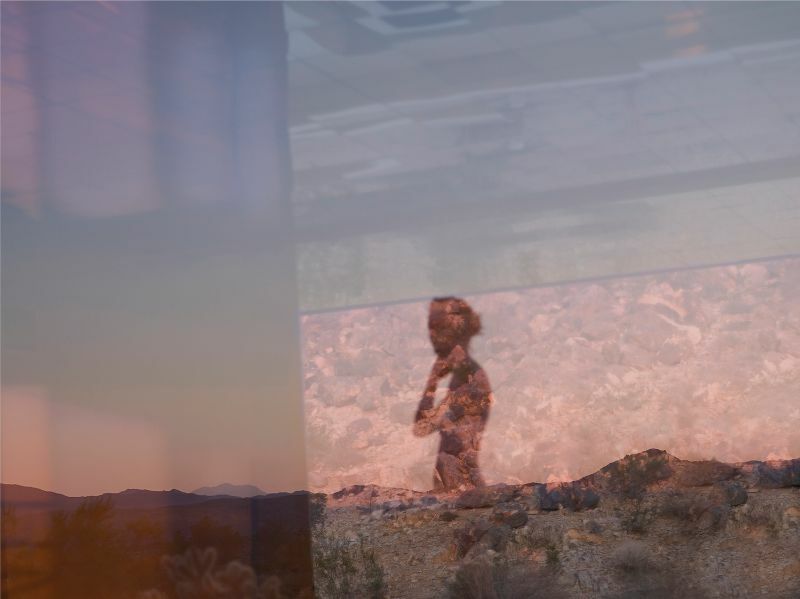 He began his project Human Nature (2006–16) in order to probe our relationship to the wilderness and to explore our fundamental need to commune with nature. 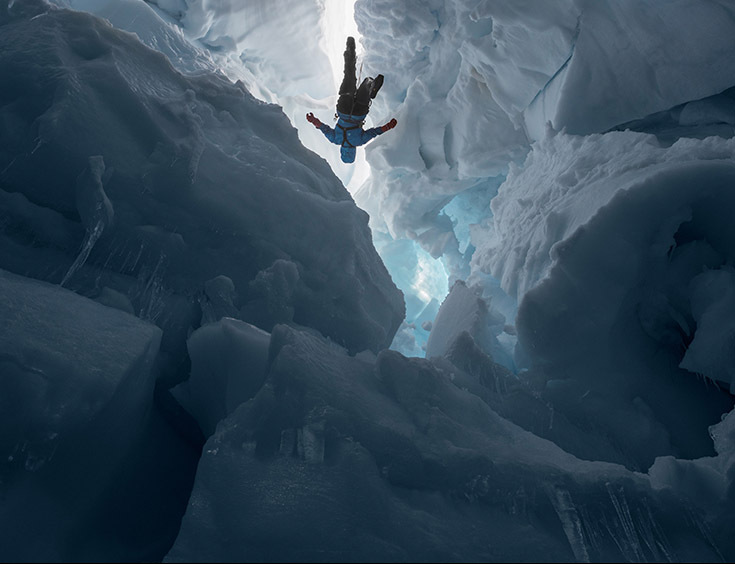 With the skills of a seasoned photographer, and often with a touch of humor, he documents leisure activities, exploration, and some of the science behind climate change—often in remote locations. 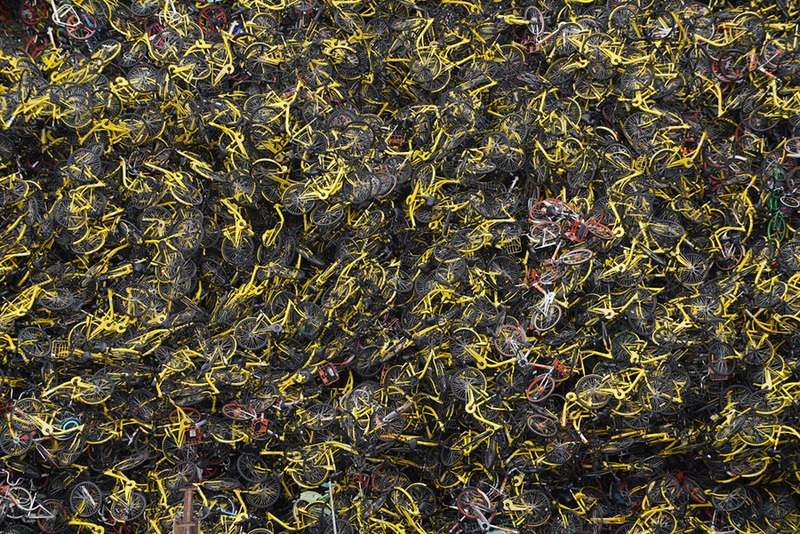 In March, author Alan Taylor posted “The Bike-Share Oversupply in China: Huge Piles of Abandoned and Broken Bicycles,” showing just some of the millions of bicycles that had been rapidly built and dumped into Chinese cities by bike-share companies looking to get in on the next big thing, only to crash hard. In the months since, more of those bike-share startups have gone bankrupt or consolidated, and the bicycle graveyards remain. Municipal governments are still wrangling with the fallout, confiscating derelict or illegally parked bikes, crafting new laws, and working out what to do with millions of abandoned bicycles. In a few cases, plans have been announced to refurbish and distribute some of the bikes to smaller neighboring towns, in others, wholesale recycling has begun, and bicycles are being crushed into cubes. The scale of the situation was so large to begin with, it will be a long time before the bicycle graveyards fade away. Under a low sun, a frog with a thuggish expression swims alone in a pond, its black reflection a crisply outlined mirror image on the still water. It stares straight ahead; an eye-to-eye confrontation seems imminent. This sinister yet amusing picture was taken by Pentti Sammallahti, a 68-year-old Finnish photographer with an unusual status: he is at once feted and deliberately low-profile. 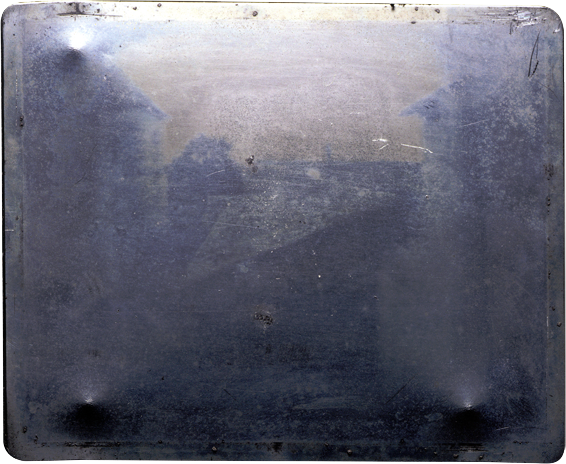 The First Photograph, or more specifically, the earliest known surviving photograph made in a camera, was taken by Joseph Nicéphore Niépce in 1826 or 1827. The image depicts the view from an upstairs window at Niépce's estate, Le Gras, in the Burgundy region of France. 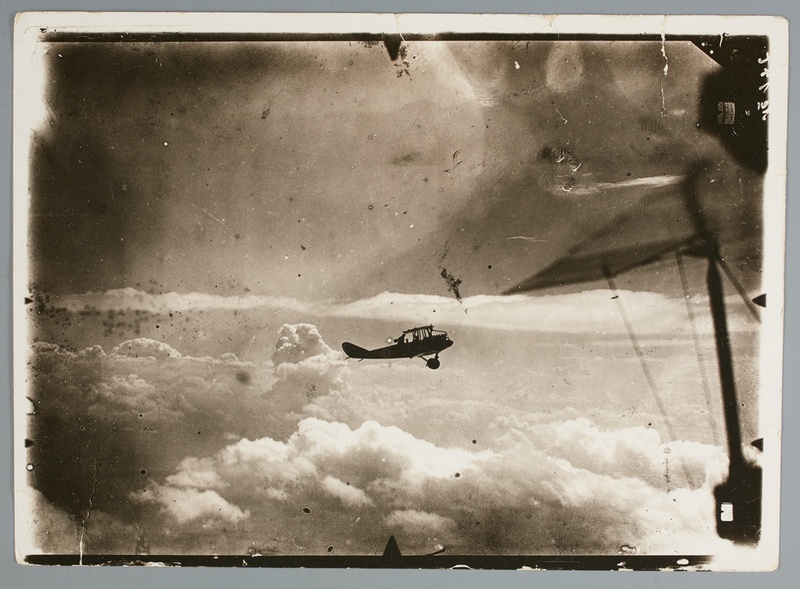 Learn more about the First Photograph through the links provided on the Harry Ransom Center website. In the South Bronx’s Melrose neighborhood, second only to Times Square as New York’s busiest, residents may soon find plenty of reasons to stop and enjoy the view. 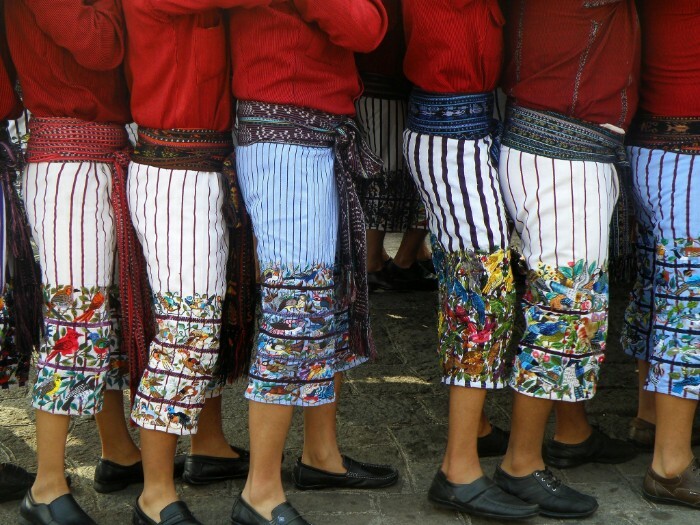 Hustling to the subway or bustling among shoppers on tightly packed sidewalks, they can happen upon arresting new sights: images of life in Latin America and the Caribbean, mounted on a chain-link fence along a sidewalk, arrayed in a community garden or displayed on the grounds of Immaculate Conception School. Melrose is becoming a gallery, inside and out. 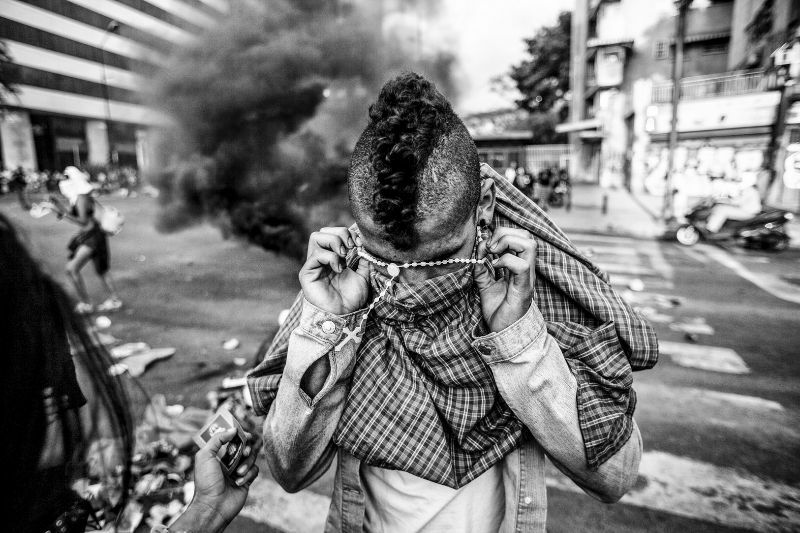 For its Latin American Foto Festival, the Bronx Documentary Center is again sharing photography with the community it calls home. The festival, running July 12 to 22, busts past the white walls of exhibition spaces with eight installations, seven beyond the center. 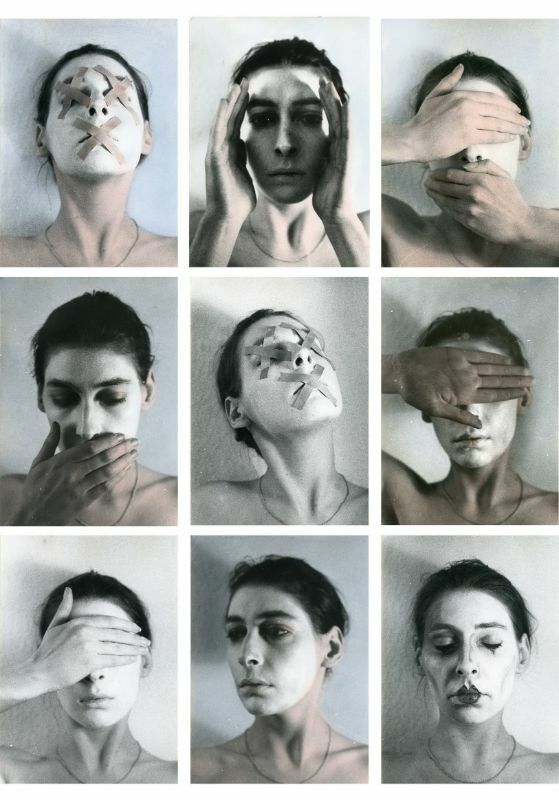 In 1992, Amy Arbus took a masterclass with Richard Avedon at the International Center of Photography in New York and embarked on a project that would forever change her relationship to the medium. 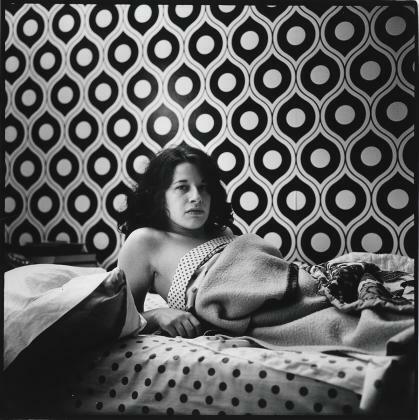 She took a single roll of black and white self-portraits in a bathtub, where she began to confront and consider the death of her mother Diane Arbus, who committed suicide in one on July 26, 1971. 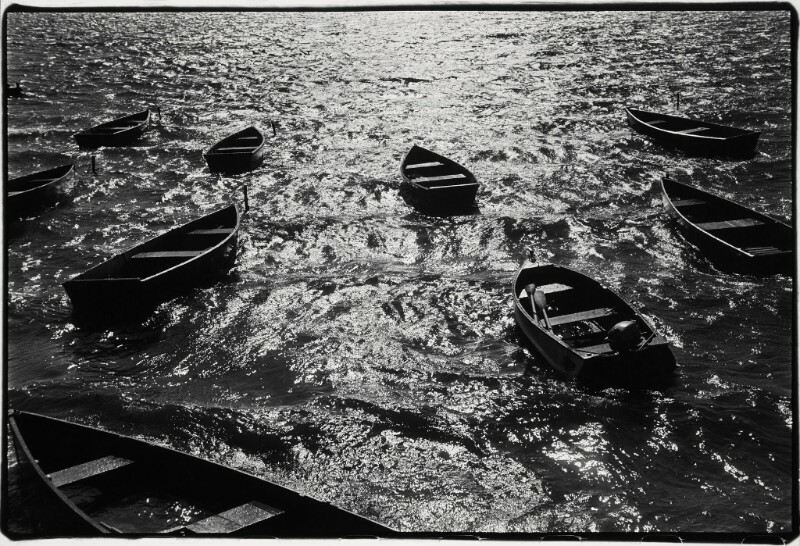 On 4 and 5 October, key works by Steiglitz will be offered at Christie’s in New York in a dedicated sale, An American Journey: The Diann G. and Thomas A. Mann Collection of Photographic Masterworks. 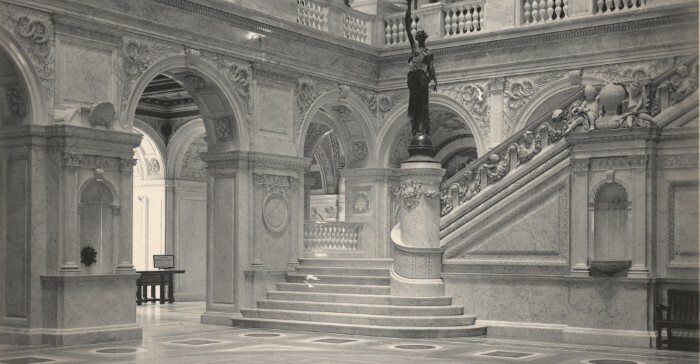 The Mann Collection contains his most iconic works from the Photo-Secessionist period, printed as oversized photogravures; each example is signed and mounted. 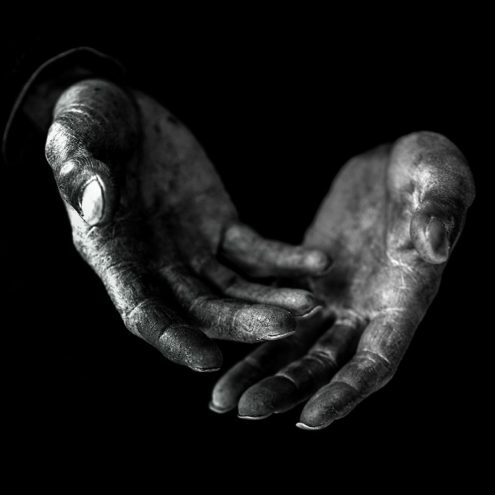 Included in the sale are prints of The Terminal (1892), The Hand of Man (1902), and the artists’ own print of The Steerage (1907). 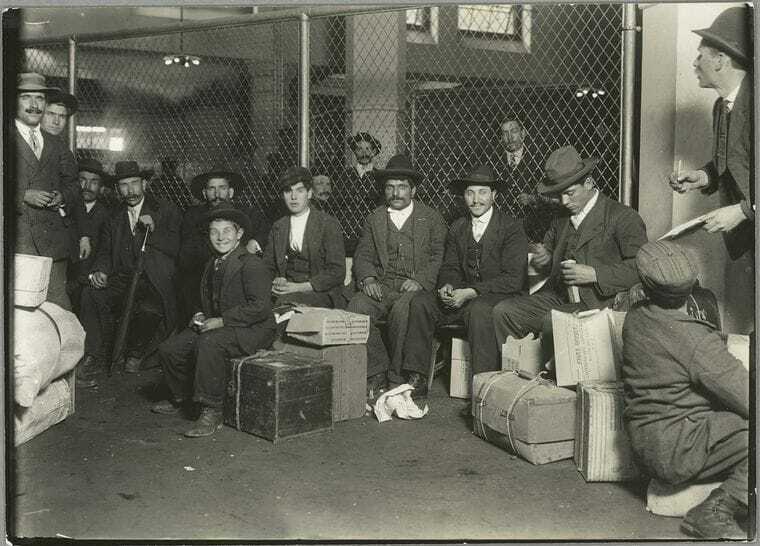 Perhaps Steiglitz’s most frequently reproduced photograph, The Steerage was exhibited in both the 1917 Society of Independent Artists’ show in New York and the 1944 Philadelphia Museum of Art exhibition that surveyed his work and personal collection. 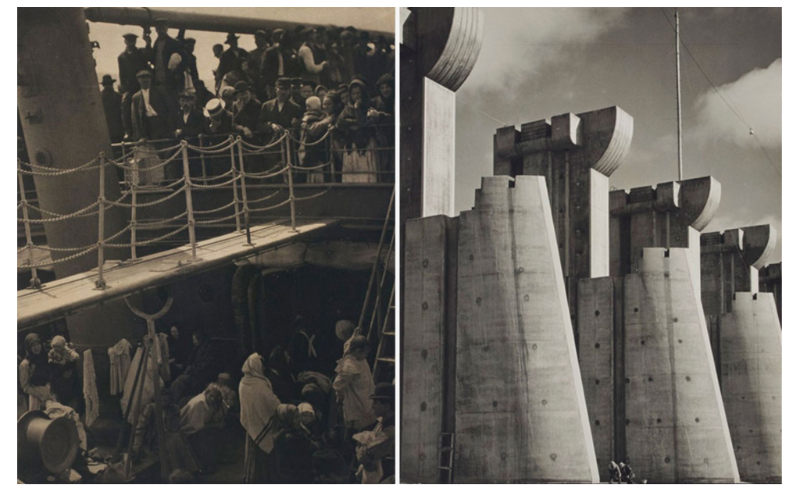 These key prints come to auction alongside rare examples of works by Steiglitz’s counterparts in the Photo-Secession, including Edward Steichen, Gertrude Käsebier and Clarence White, and Modernist masterworks by Edward Weston, Paul Strand and Charles Sheeler. 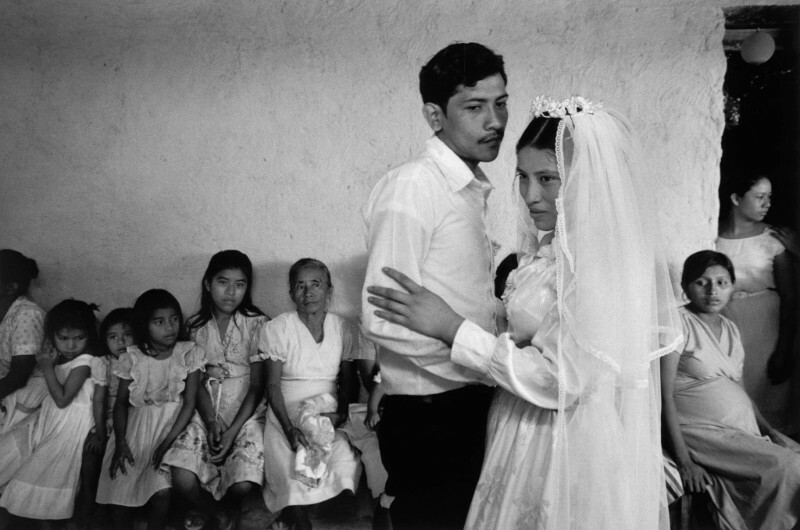 From war and human rights to cultural identity and domestic violence, Susan Meiselas’s (American, b. 1948) work covers a wide range of subjects and countries. 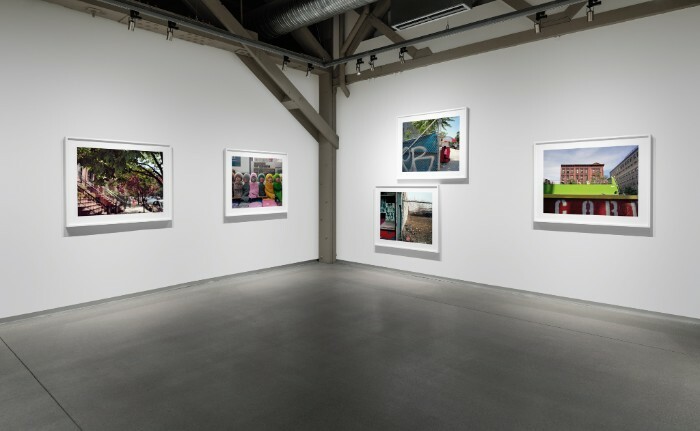 This retrospective brings together projects from the beginning of her career in the 1970s to the present day, including her iconic portraits of carnival strippers, vivid color images of the conflicts in Central America in the 1980s, and an ongoing investigation into the history and aftermath of the Kurdish genocide. 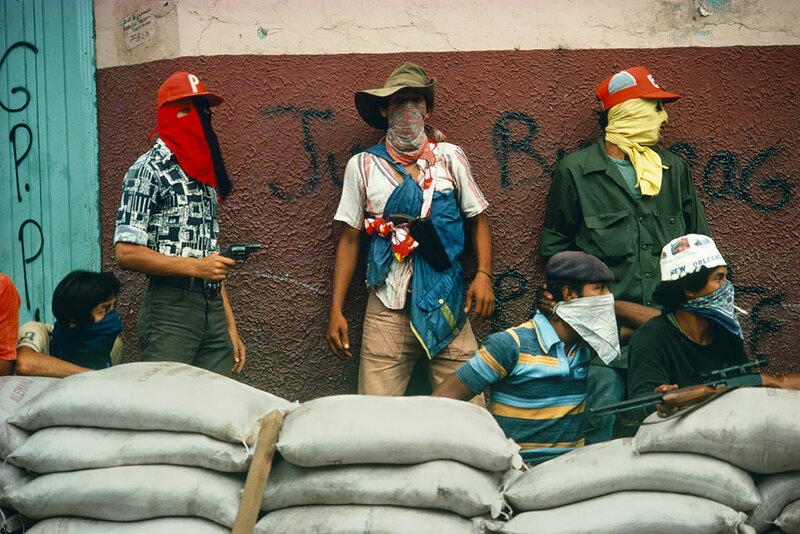 A member of Magnum Photos since 1976, Meiselas creates work that raises provocative questions about documentary practice, and the relationship between photographer and subject. 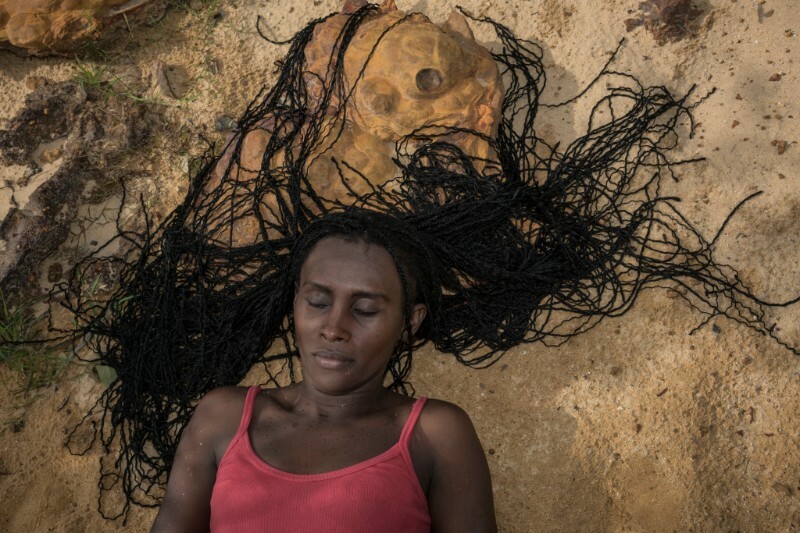 The exhibition highlights her unique working method, combining photography, video, sound, and installation to explore different scales of time and conflict, ranging from the personal to the geopolitical. 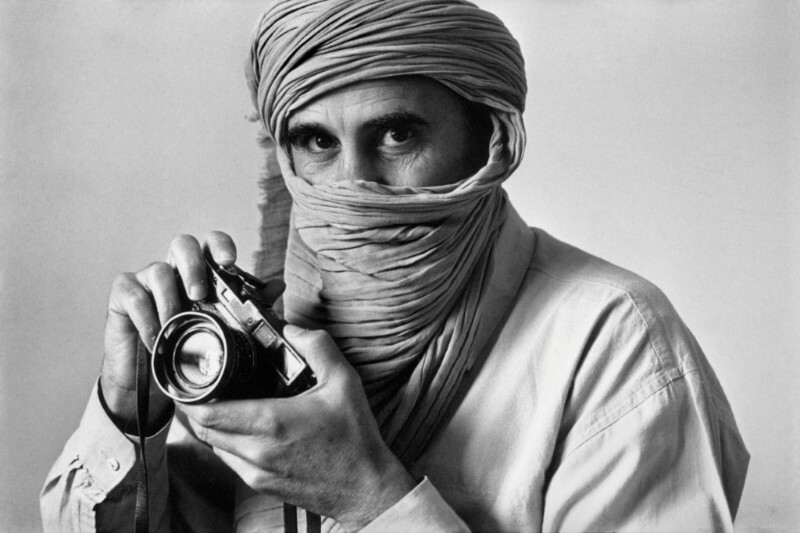 In the early 1970s, a decade into shooting conflicts around the world, Don McCullin said in the exhibition catalog "The Concerned Photographer 2": "I haven't got very much longer to go at being a war photographer. I mean the chips are down already." 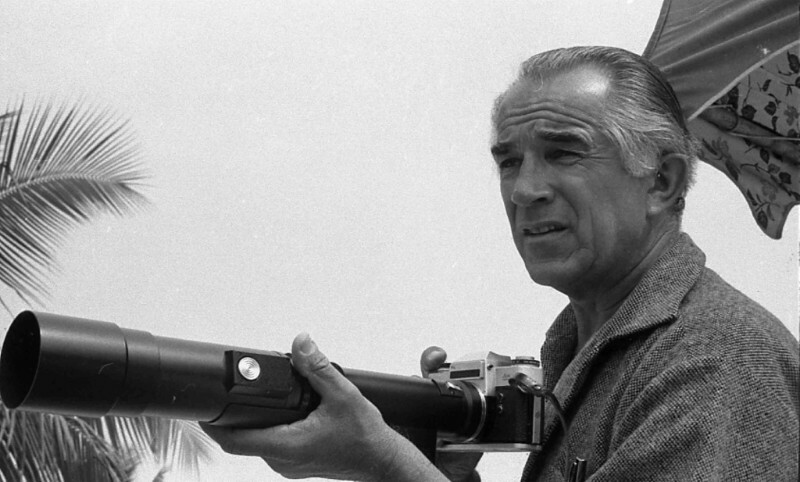 And yet a few years ago, at 80, McCullin could be found in Iraq, camera in hand. 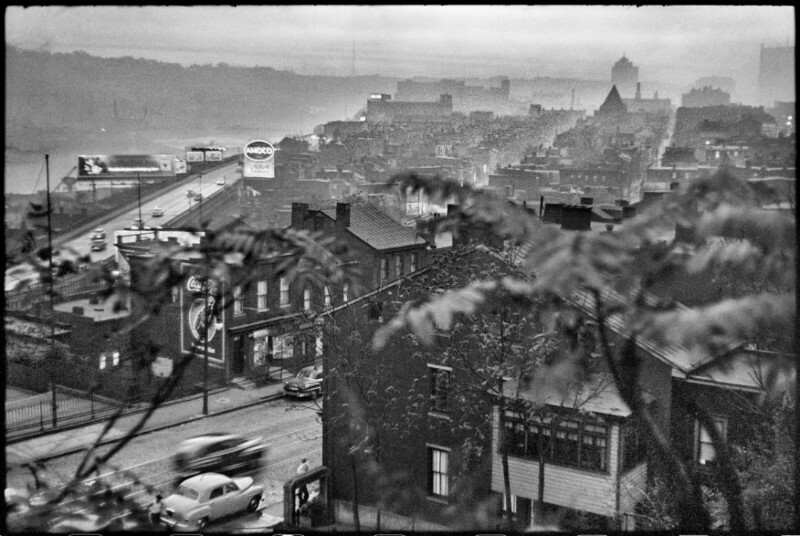 In 1950 Elliott Erwitt, then just twenty-two years old, set out to capture Pittsburgh’s transformation from an industrial city into a modern metropolis. 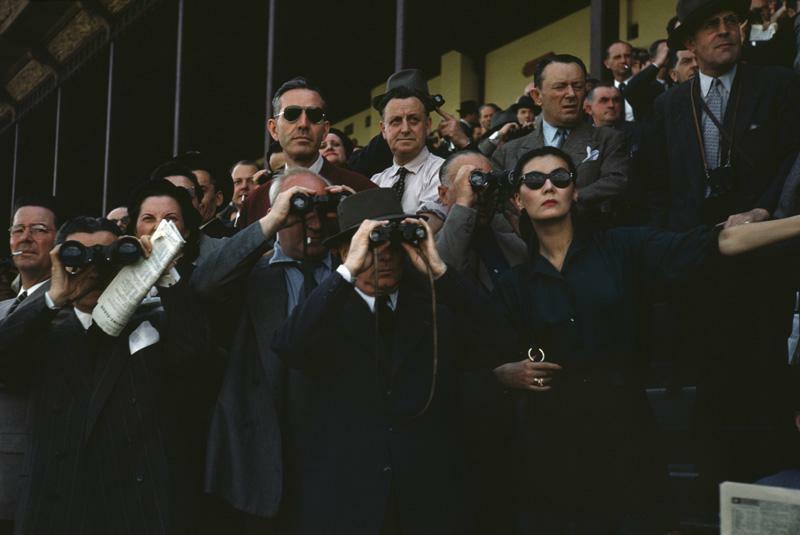 Commissioned by Roy Stryker, the mastermind behind the large-scale documentary photography projects launched by the US government during the Great Depression, Erwitt shot hundreds of frames. 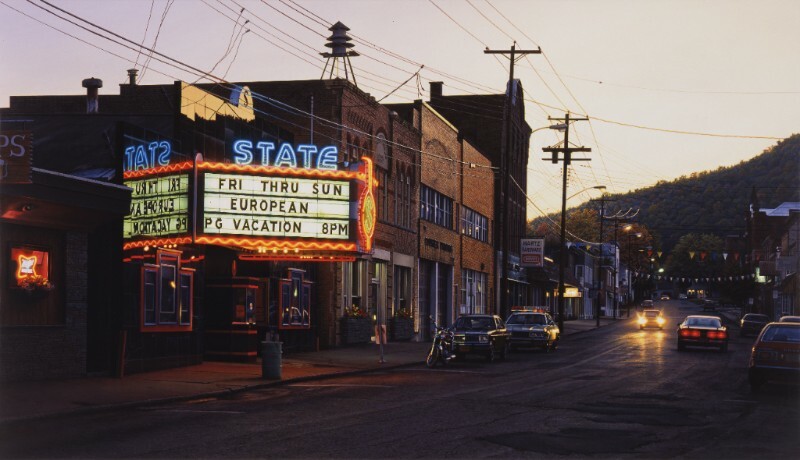 His images recorded the city’s communities against the backdrop of urban change, highlighting his quiet observations with the playful wit that has defined his style for over five decades. 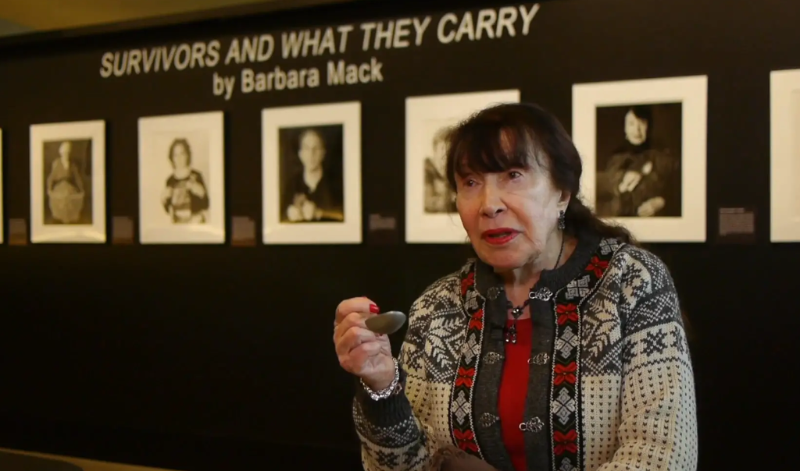 After only four months, Erwitt was drafted into the army and sent to Germany, leaving his negatives behind in Stryker’s Pittsburgh Photographic Library. 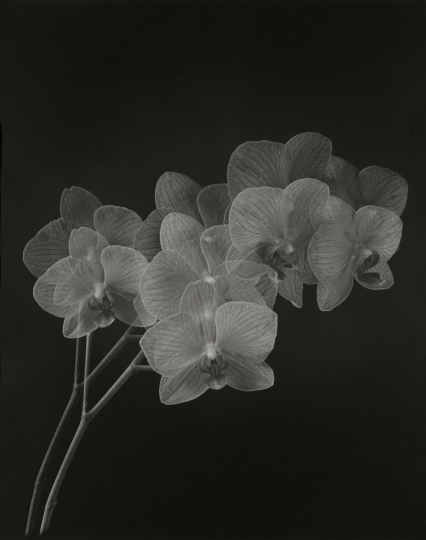 The negatives remained at the Pennsylvania Department of the Carnegie Library of Pittsburgh for decades. 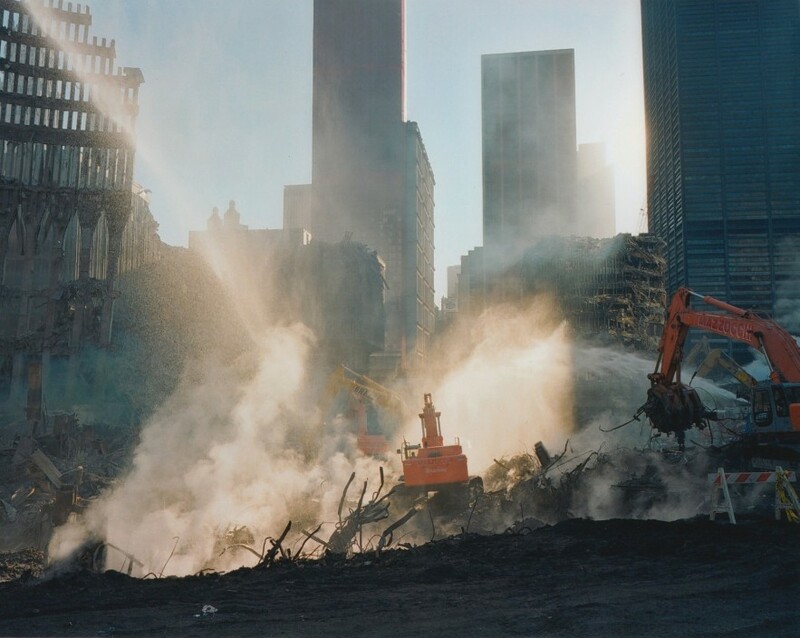 This exhibition, organized by Assistant Curator Claartje van Dijk in association with the photographer, will present these images in the United States for the first time. The book Pittsburgh: 1950 is available for purchase in the ICP Museum shop for the duration of the show. 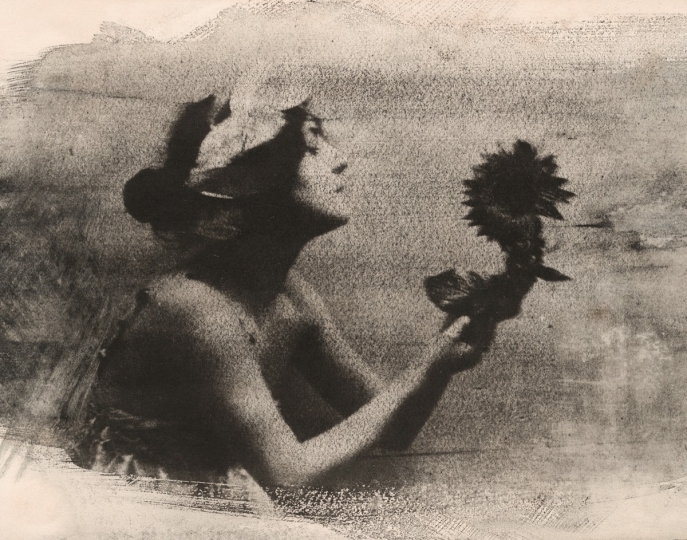 From June 16th to September 16th, the museum Nicéphore Niépce in Chalon-sur-Saône devotes a large exhibition to a major chapter in the history of photography, pictorialism. 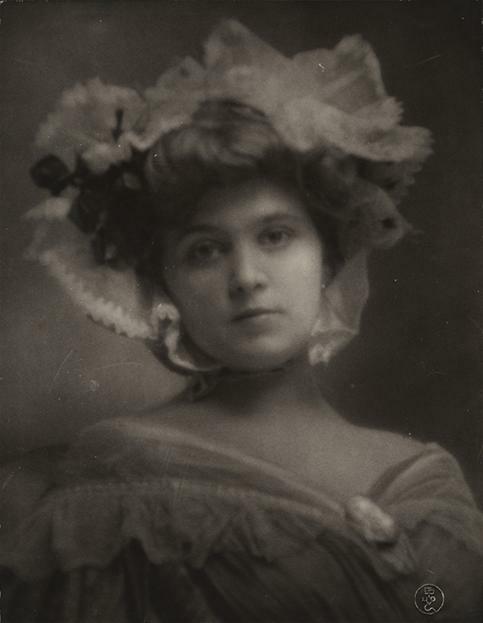 The ambition of this international aesthetic movement born around 1890 was to make the creative potential of the photographic image admitted by producing art pictures. 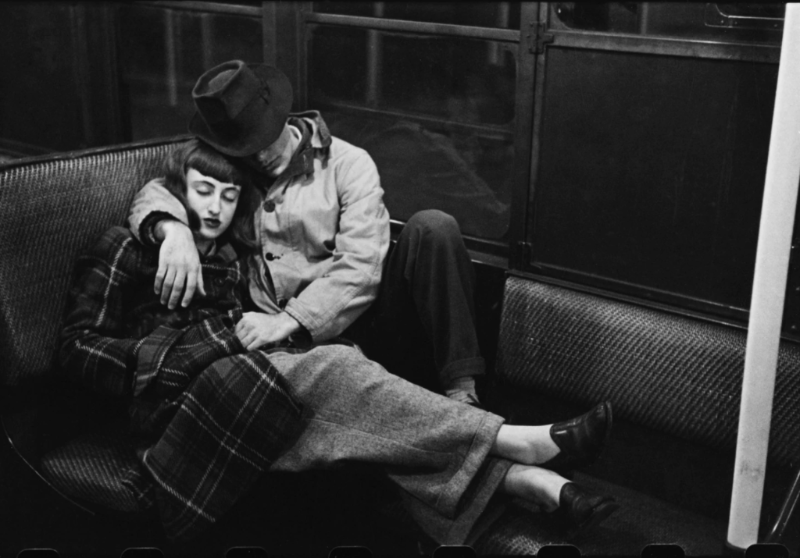 In his 1951 book Chicago: City on the Make, Nelson Algren offered bittersweet praise for the city: “Like loving a woman with a broken nose, you may well find lovelier lovelies. 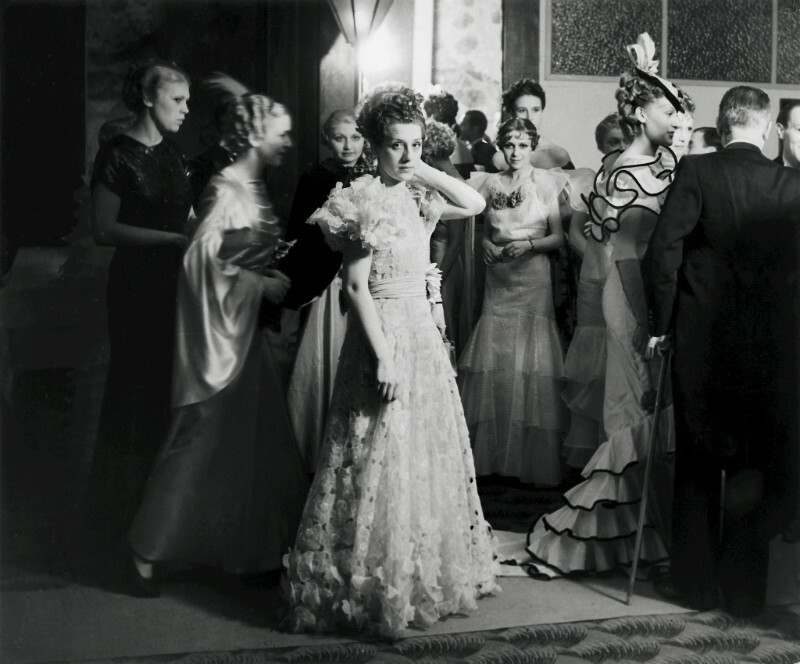 But never a lovely so real.” This unique character—fraught with affection, tension, and contradiction—is revealed in the work of the many photographers and filmmakers who documented Chicago in the second half of the 20th century as cultural, social, and political events transformed the city. These artists focused on Chicago’s history as a city of neighborhoods, many of them fiercely segregated and separated from one another. Together, they constructed a portrait of Chicago that speaks equally to its allure and its haunting brutality. 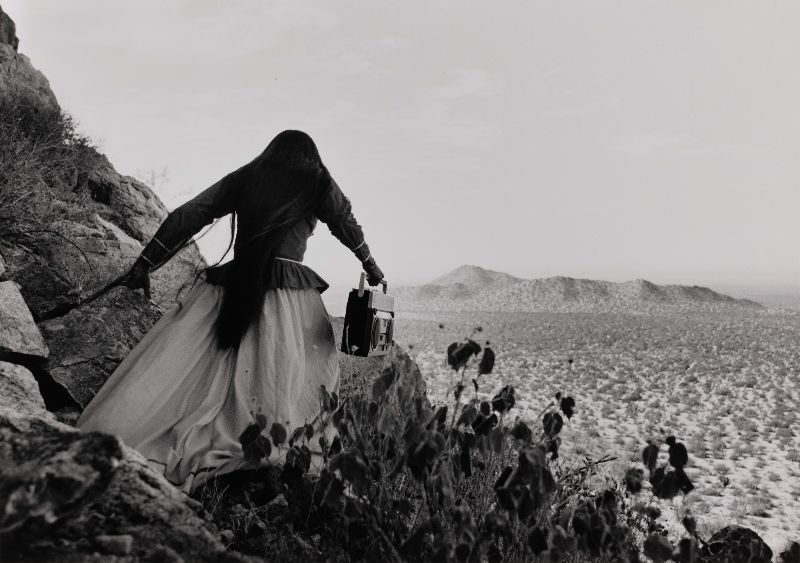 Drawn largely from the Art Institute’s collection, this exhibition highlights the work of artists who through their images and films captured the life of their own communities or those to which they were granted intimate access as outsiders. 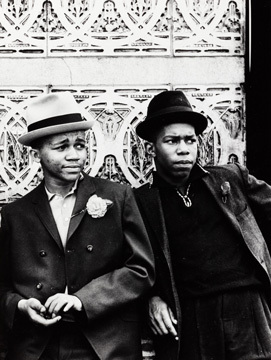 Featured among them is a network of photographers who focused on Chicago’s South Side during a period coinciding with the emergence of the city’s Black Arts Movement. Billy Abernathy, Darryl Cowherd, Bob Crawford, Roy Lewis, and Robert A. Sengstacke all produced work in connection with the revolutionary Bronzeville mural, the Wall of Respect (1967–71). 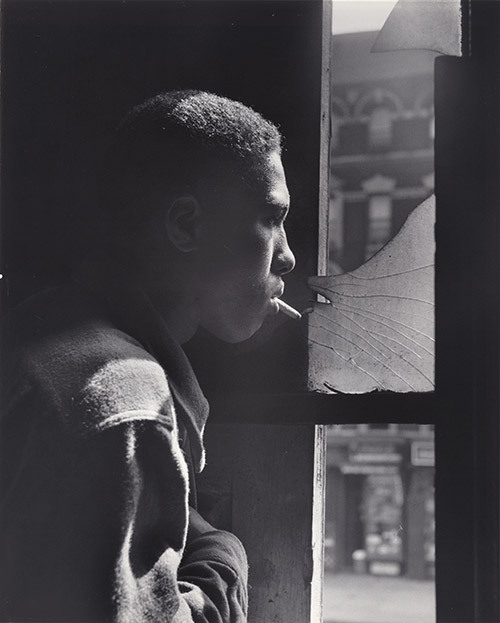 Other projects, such as Mikki Ferrill’s decade-long documentation of an improvised South Side club, The Garage (1970/80), and two of Gordon Parks’s Life magazine assignments (1953 and 1963), likewise underscore the role played by Chicago as a national center of black culture and politics. 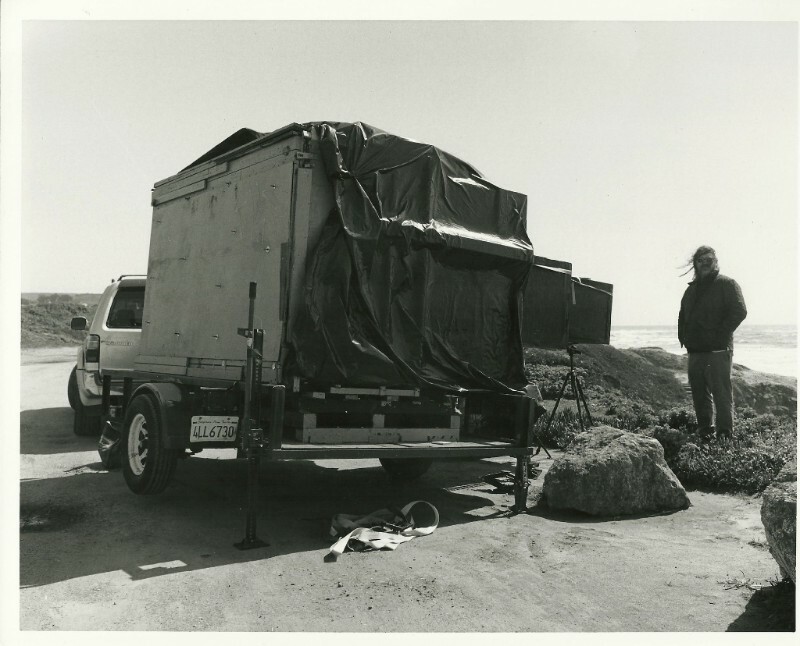 The photographer Ursula Schulz-Dornburg (b. 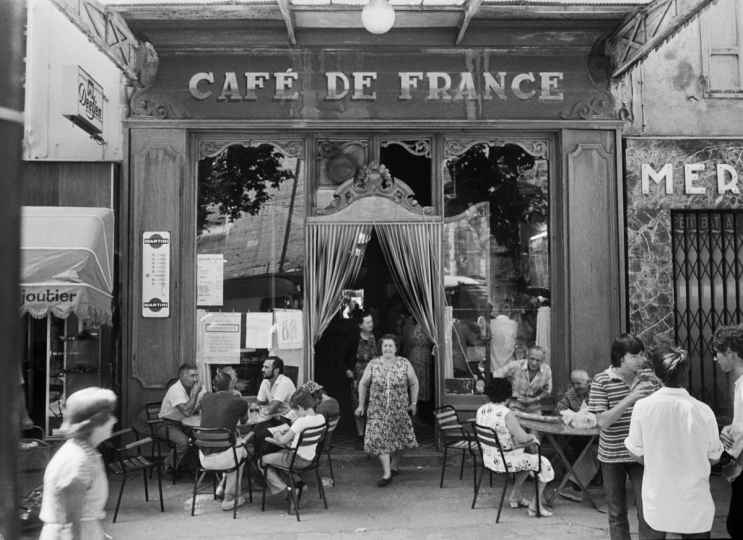 1938) has been devoting herself to border landscapes, places of transit and relics of past cultures for more than forty years. 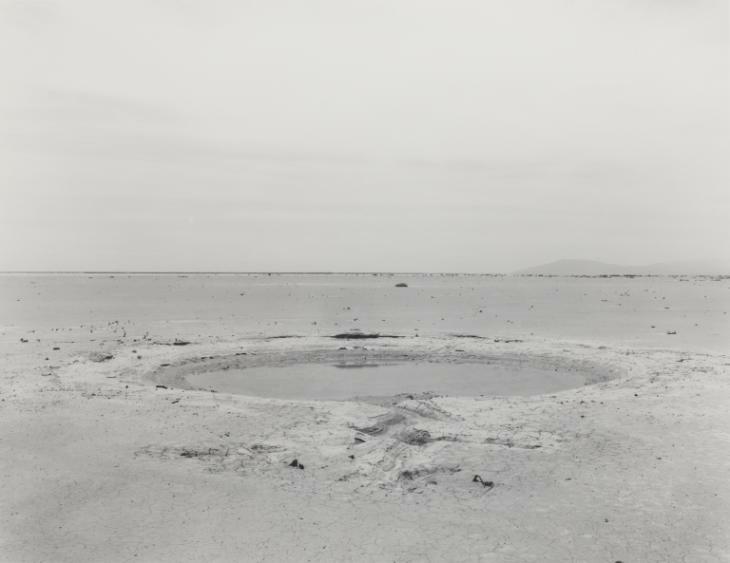 With the aid of thirteen extensive workgroups and altogether more than 200 works, the Städel Museum is offering the first comprehensive institutional survey of the artist’s oeuvre ever in the exhibition Ursula Schulz-Dornburg: The Land In-Between – Photographs from 1980 to 2012, to be presented from 4 July to 9 September 2018. 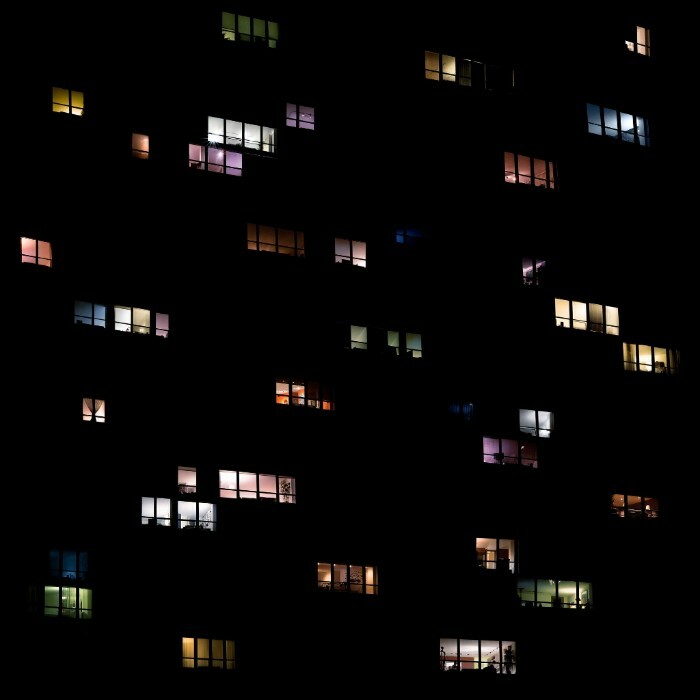 Schulz-Dornburg, who was born in Berlin and now lives in Düsseldorf, devotes herself in her photos to cult and culture sites in Europe, Asia and the Near East, and above all to the visible and invisible borders of these continents and regions. 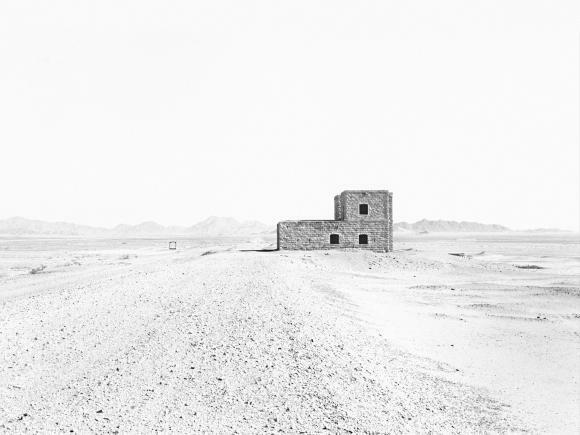 Her analogue black-and-white photographs are testimonies to no-longer-existing landscapes, past political systems, cultural milieus in the process of dissolution, and expiring societies. 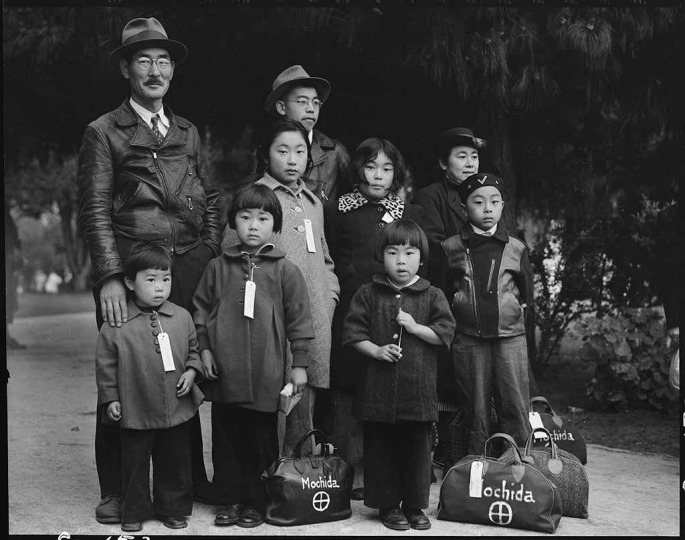 Distinguished by ethnological curiosity and an archaeological perspective, the images are on the interfaces between documentarism and political photography, between concept art and a sense of the responsibility to provide insight. Schulz-Dornburg is interested in the marks human beings have left behind in the landscape in the course of lengthy historical processes, as well as in recent political changes of the kind brought about, for example, by the Golf Wars (between 1980 and 2003). Through the Eyes of Four Photographers features works by Brian Griffin, Andrew Holligan, Bruce Rae and Gerry Castle. 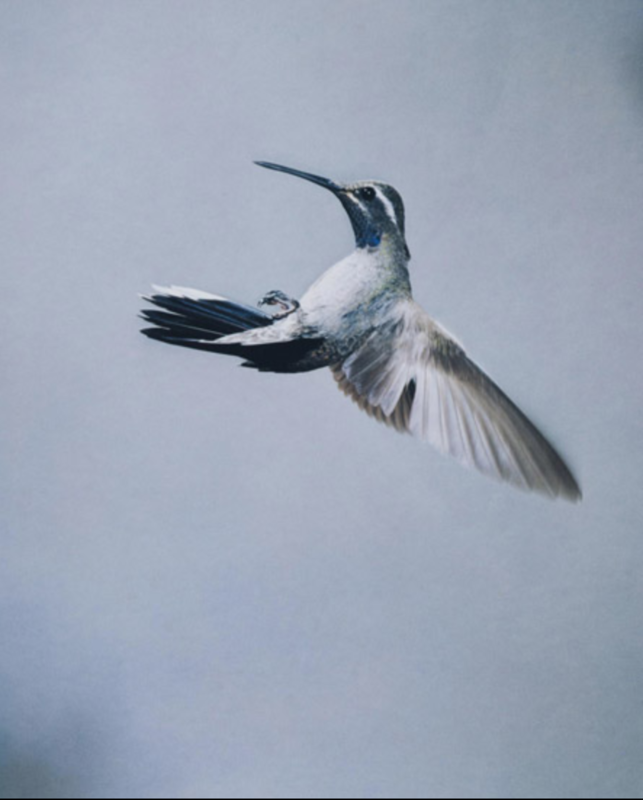 The show includes works from Paul and his wife Toni’s personal collection, assembled over three decades, plus some new works from these photographers. The photos are chilling: Giant swathes of devastation in the Brazilian Amazon. Men hip-deep in the brown muck of the gouged and flooded earth. They are the scenes of illegal gold mining in Garimpeiros: The Wildcat Gold Miners of the Amazon Rainforest, an exhibition in the Ocean Gallery of the UC Santa Barbara Library through Aug. 31. 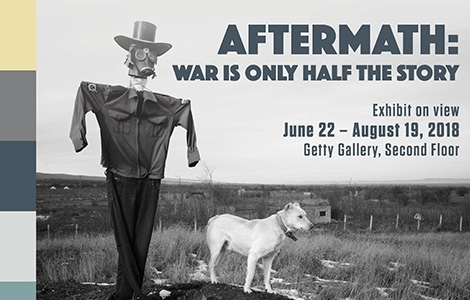 War is Only Half the Story is a ten-year retrospective of the work of the groundbreaking documentary photography program, The Aftermath Project. 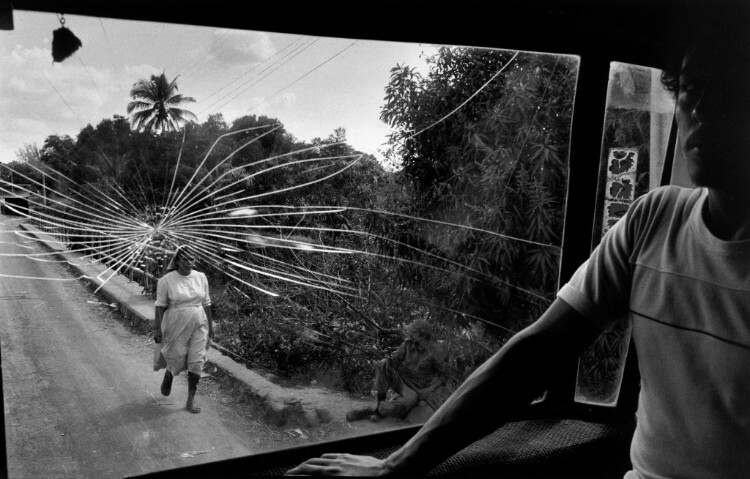 Founded to help change the way the media covers conflict- and to educate the public about the true cost of war and the real price of peace- The Aftermath Project has discovered some of the most groundbreaking photographers in the world working on post-conflict themes. War is Only Half the Story tells the incredibly moving stories of the people left behind after the cameras have moved on from a war zone. 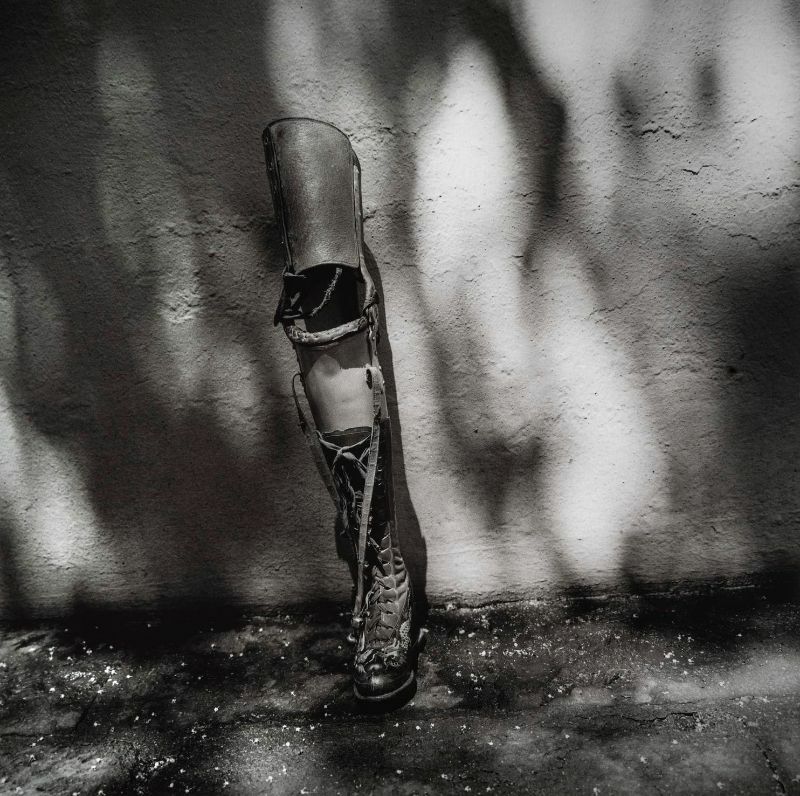 Drawing on photographs from over fifty photographers, these personal and often poetic post-war views unveil not only another side to the devastating effects of war, but also tells the stories of people coming together to rebuild and heal. The exhibit illuminates and defines our humanity while giving visibility to those coping with the lingering ramifications of conflict. 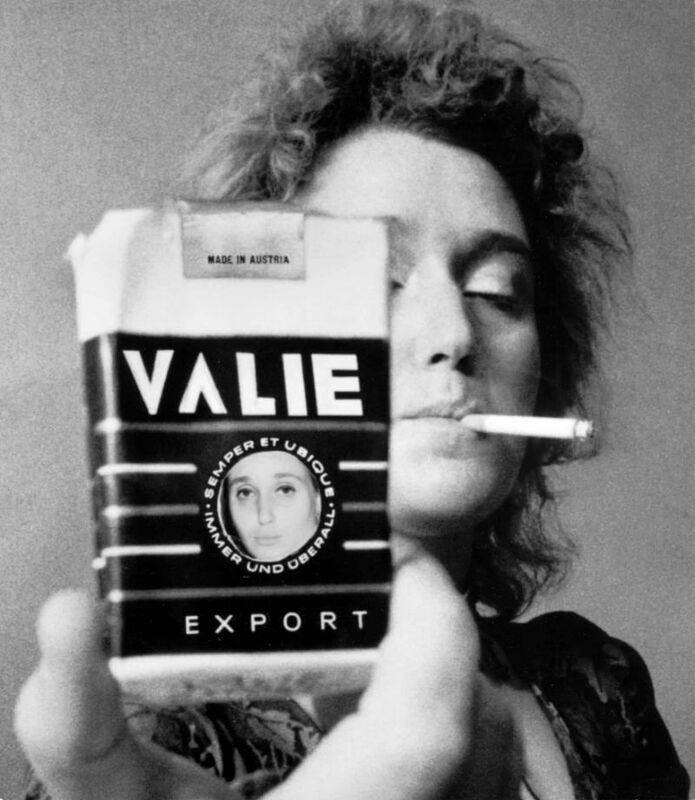 Peter Hujar (1934–1987), a prominent figure in the downtown New York art scene in the 1970s and 1980s, is best known for his intimate, searching, and playful portraits of artists, writers, and performers, including Susan Sontag, William S. Burroughs, David Wojnarowicz, and the masters of drag theater. Private by nature, combative in manner, well read, and widely connected, Hujar inhabited the downtown world of avant-garde dance, music, art, and performance. His mature career paralleled the public unfolding of gay life between the Stonewall uprising in 1969 and the AIDS crisis of the 1980s. In his loft studio in the East Village, Hujar focused on those who followed their creative instincts and shunned mainstream success. 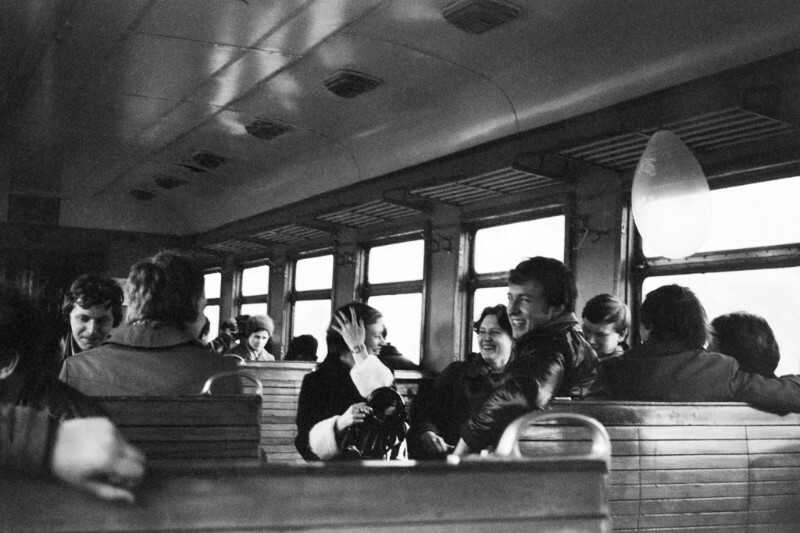 He made, in his words, “uncomplicated, direct photographs of complicated and difficult subjects,” immortalizing moments, landscapes, individuals, and subcultures passing at the speed of life. 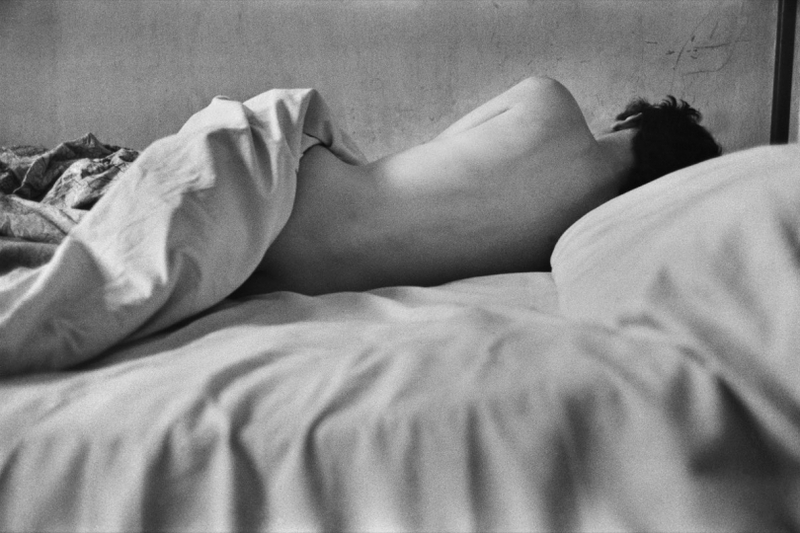 Peter Hujar: Speed of Life presents more than one hundred photographs by this enormously important and influential artist. 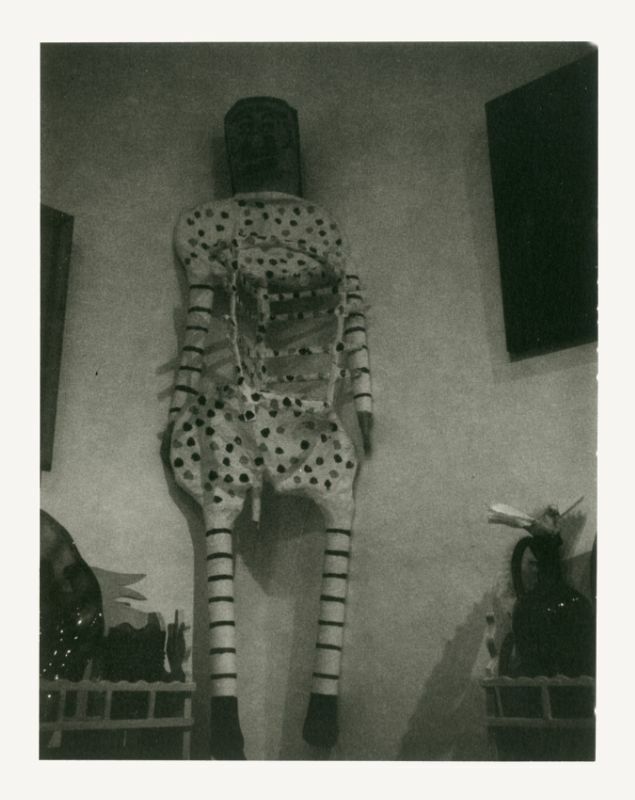 The pictures, in this first retrospective of the artist’s work, chart Hujar’s career from his beginnings in the mid-1950s to his central role in the East Village art scene three decades later. 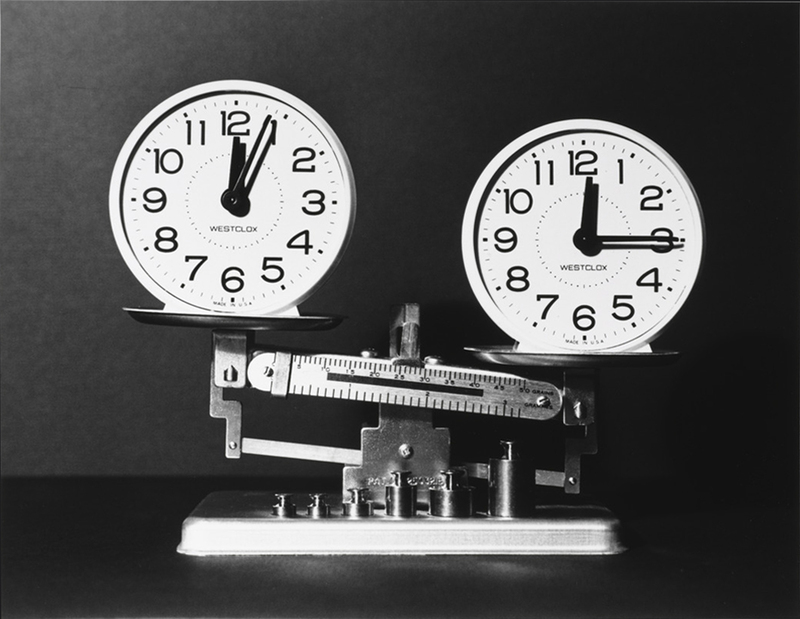 From a series of diptychs designed to stimulate senile dementia patients to - controversially - an alternative take on Bertolt Brecht's War Primer which was first published in 2011, Arles' book awards went to images from the archives. 'Snapdragon' is a revelation, a unique telling of a unique man’s early life. It is told in large part by Phil Stern, the young man himself, but with all the supporting detail and the rest of the story filled in by his biographer Liesl Bradner. 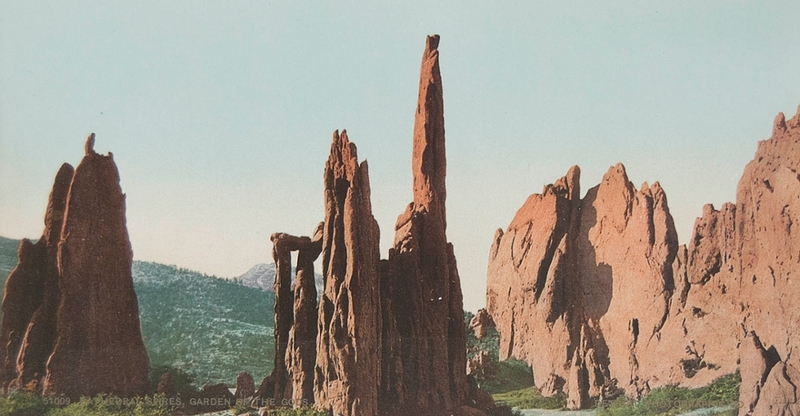 Photography has played a vital role in our understanding of the outdoors, allowing us to view natural spaces without being physically present in them. Parks fill a similar role, as they provide institutional access points and infrastructure into wild, natural spaces. In his book Our National Parks (1901), John Muir, cofounder of the Sierra Club, wrote: “Thousands of tired, nerve-shaken, overcivilized people are beginning to find out that going to the mountains is going home; that wildness is a necessity; and that mountain parks and reservations are useful not only as fountains of timber and irrigating rivers, but as fountains of life.” Presenting a selection of historical and contemporary works from the MoCP’s permanent collection and the Midwest Photographers Project, View Finder: Landscape and Leisure in the Collection considers the varied ways these designated outdoor spaces enhance human experience, from allowing for rest and refuge to their ability to meet other, more subliminal needs. Trial and error reveals unexpected results. 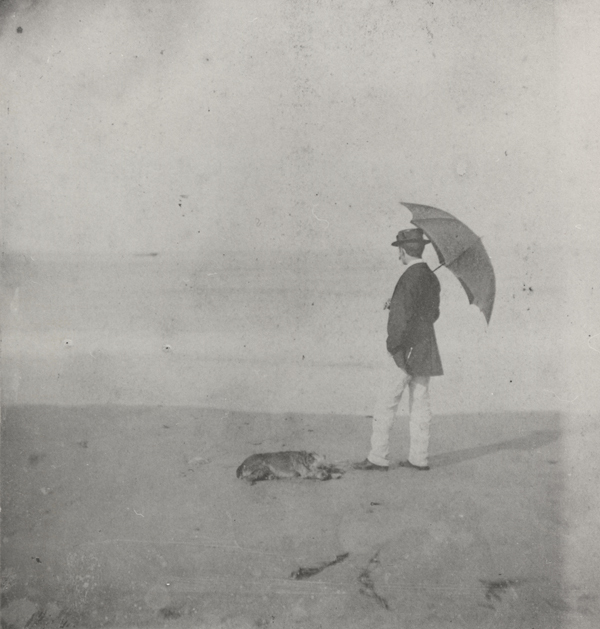 Not an Ostrich: And Other Images from America’s Library is the result of celebrated American photography curator Anne Wilkes Tucker’s excavation of nearly 500 images—out of a collection of over 14 million—permanently housed at the Library of Congress in Washington, D.C. While visitors to the exhibition might never see an ostrich, they will see the image entitled “Not an Ostrich” and a large selection of rare and handpicked works from the vaults of the world’s largest library, many never widely available to the public. This exhibition spans across the history of photography—from daguerreotypes, the first photographic process, to contemporary digital prints. 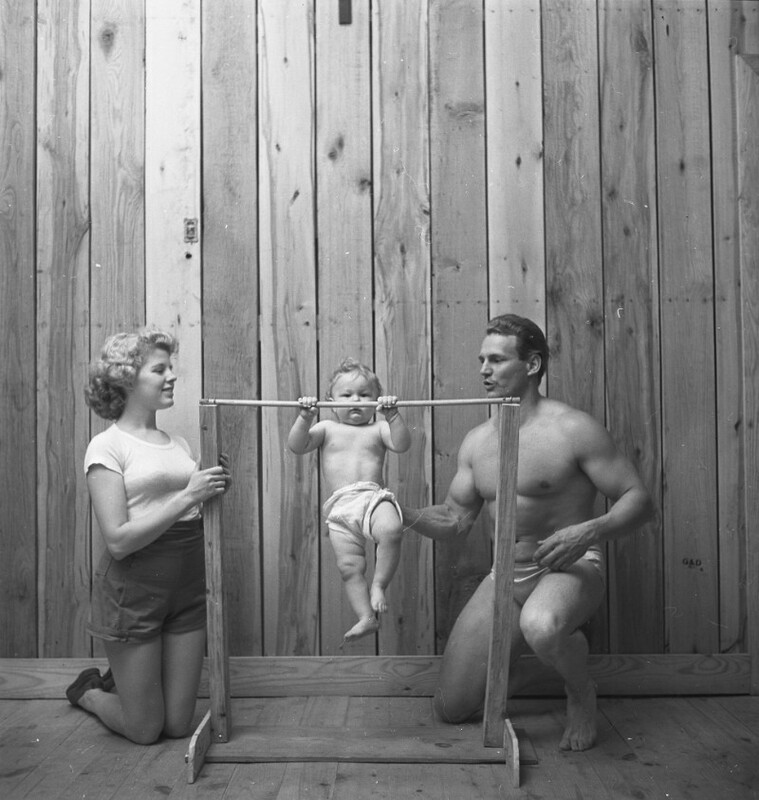 Iconic portraits of Abraham Lincoln, John Lennon and Yoko Ono, Cesar Chavez, and Elizabeth Taylor appear alongside unusual images, such as, Stanley Kubrick’s “Strong Man’s Family” (1947), John Vachon’s “Ice Fishing, Minnesota” (1956), Susana Raab’s “Chicken in Love, Athens, OH” (2006) and Nina Berman’s “Flammable Faucet #4, Monroeton, PA” (2011). 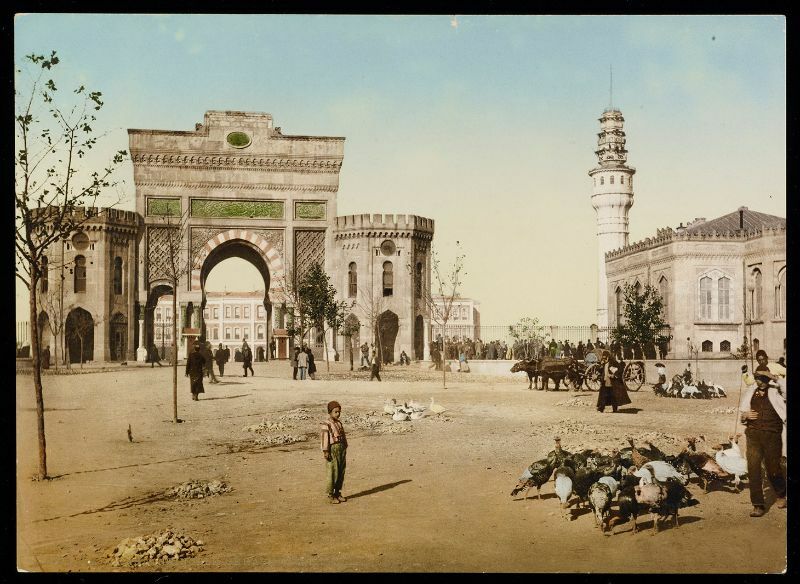 Vivid color portrayals of America, across time, are highlighted in juxtapositions of popular travel views from the late 19th century, created by the Detroit Publishing Company using the then-latest “photochrom” technology, on a screen next to striking contemporary scenes captured by Carol M. Highsmith. 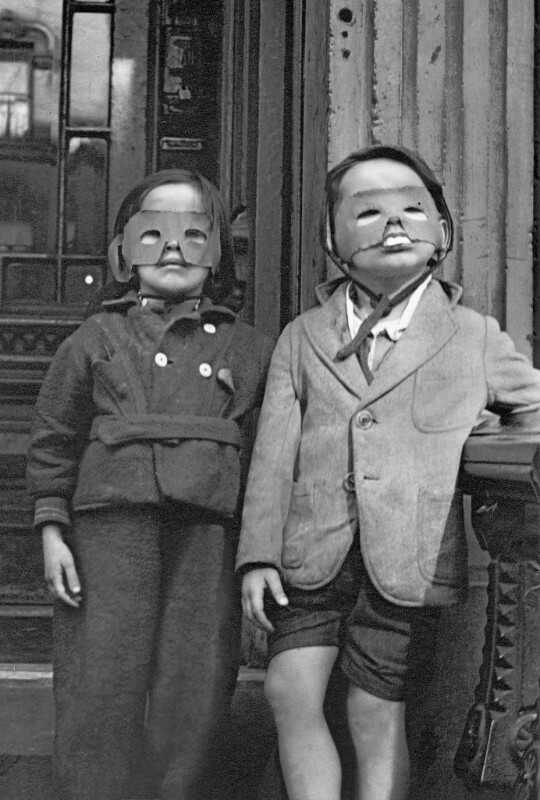 Under the helmets, the faces are young and tormented, stubbled and dirty, taut with the strain of battle. They sob over dead friends. They stare exhausted into the fog and rain. They crouch in a muddy foxhole. This goddamn cigarette could be the last. 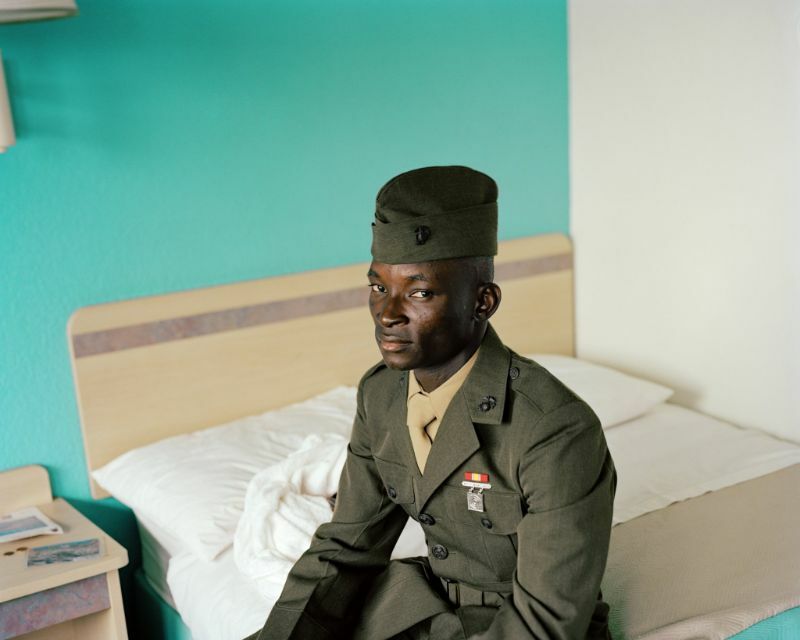 There are no heroes in David Douglas Duncan’s images of war. 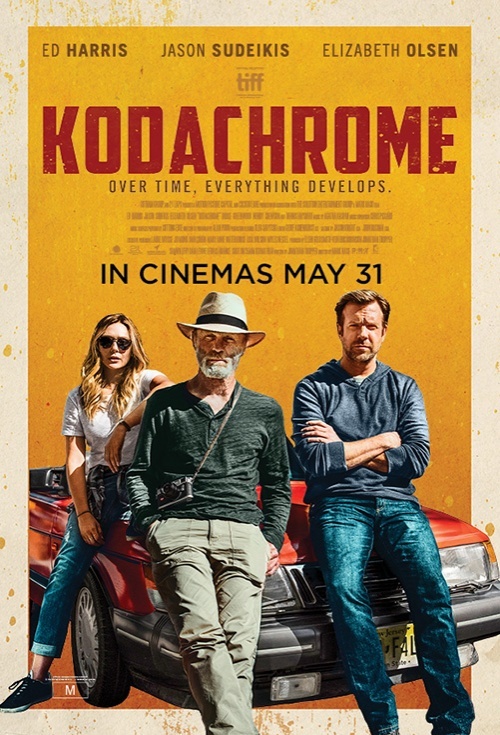 Dark and brooding, mostly black and white, they are the stills of a legendary combat photographer, an artist with a camera, who brought home to America the poignant lives of infantrymen and fleeing civilians caught up in World War II, the Korean conflict and the war in Vietnam. 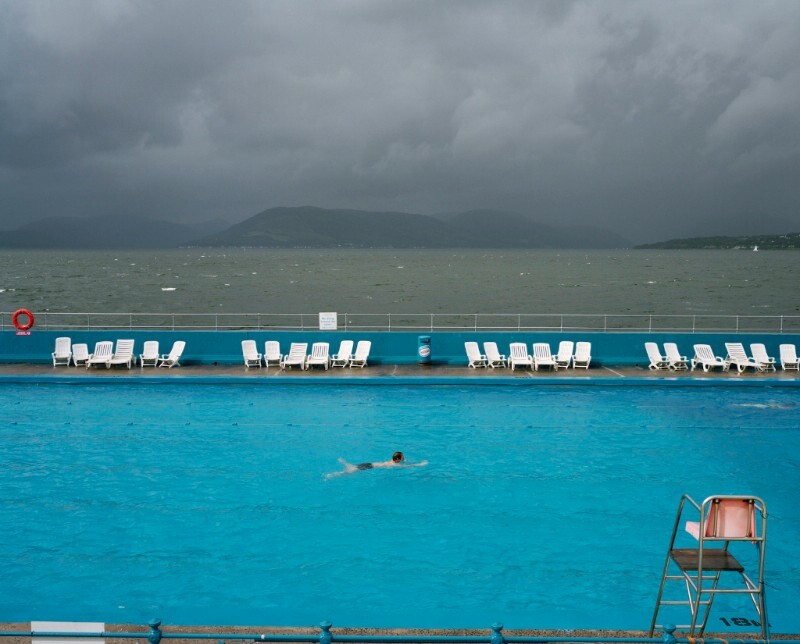 A major new exhibition of works by Martin Parr, one of Britain’s best-known and most widely celebrated photographers. Only Human: Martin Parr, brings together some of Parr’s best-known photographs with a number of works never exhibited before to focus on one of his most engaging subjects – people. The exhibition will include portraits of people from around the world, with a special focus on Parr’s wry observations of Britishness, explored through a series of projects that investigate British identity today, including new works which reveal Parr’s take on the social climate in Britain in the aftermath of the EU referendum. Chronicling the trends of fashion photography that have defined evolving ideas of style and beauty through the century, the J.Paul Getty Museum presents Style: A Century of Fashion Photography, 1911-2011, June 26-October 21. 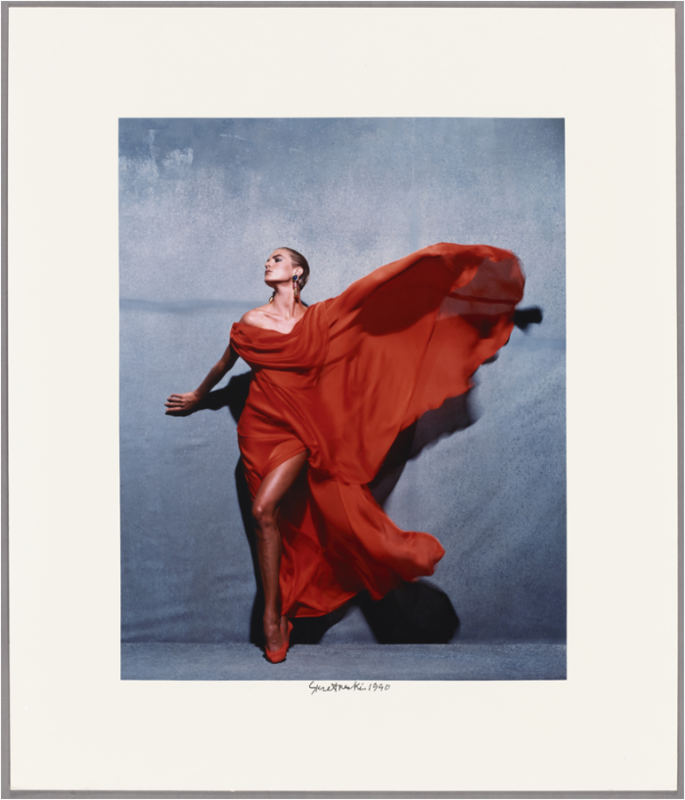 The exhibition includes more than 160 fashion images, including work by the likes of Herb Ritts, Lillian Bassman, Richard Avedon, Guy Bourdin, Erwin Blumenfeld, Louise Dahl-Wolfe, Hiro, and Scott Schuman. The show includes a variety of supplementary material, including illustrations, magazine covers, videos, and advertisements. 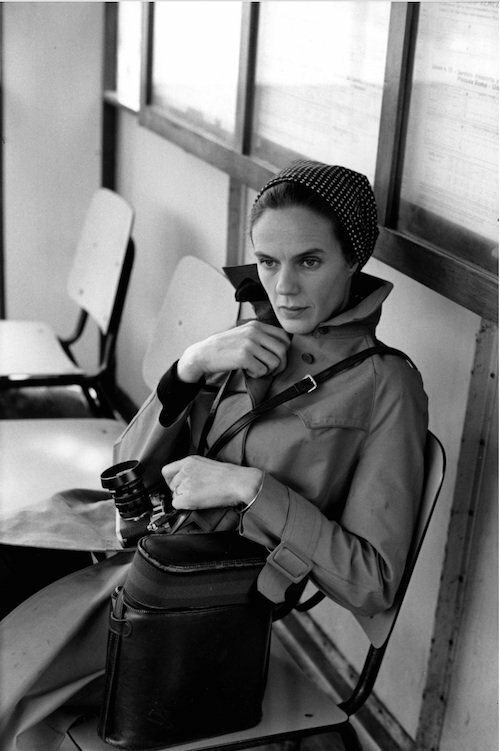 Works by lesser-known but influential artists such as Corinne Day, Gleb Derujinsky, Toni Frissell, and Kourken Pakchanian are also included. Europe boasts more than a hundred photography festivals, but few match the scale and ambition of Photo España in Madrid. This year, the organisation behind it, La Fábrica, celebrates the festival’s 20th edition with a typically eclectic summer season of activities throughout the Spanish capital, encompassing the work of more than 500 artists across dozens of venues that range from the small to the iconic. 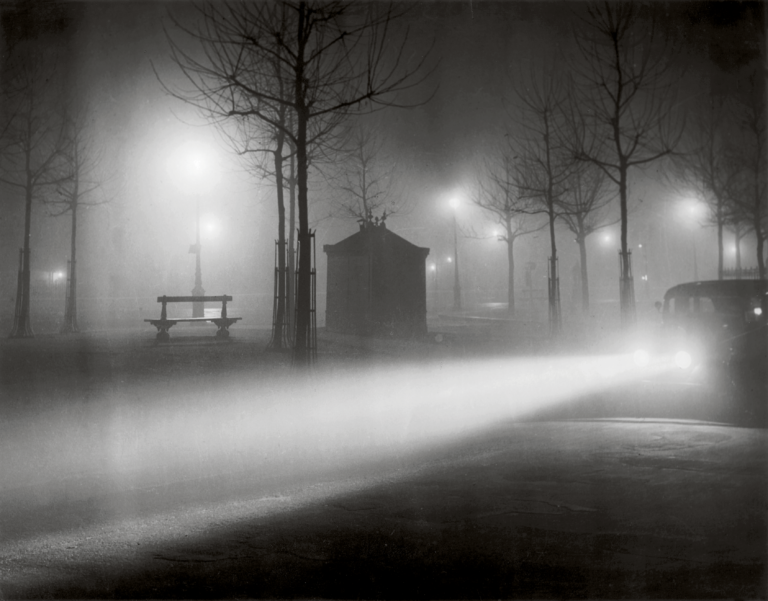 Offering an updated, broader vision of the pictorialist endeavour on a European scale, 'Artists’ Visions' results from recent research and discoveries and is the first exhibition dedicated to pictorial photography for over a decade in France. 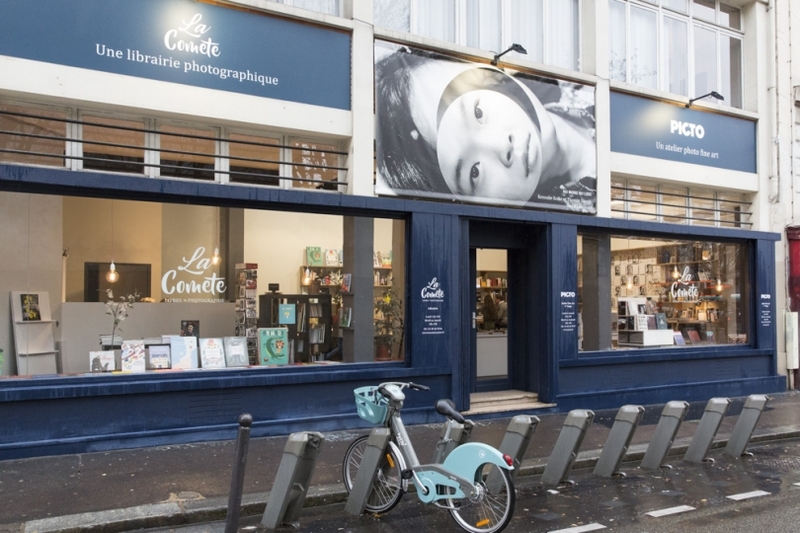 Sourced in the collections of the musée Nicéphore Niépce that preserves works by Robert Demachy and Charles Lhermitte, as well as prints by Constant Puyo, José Ortiz-Echagüe and Alfred Fauvarque-Omez, the exhibition brings together over two-hundred vintage prints. They are the work of various authors, some of them famous, others little known even unknown, until now. Most of these prints are being shown for the very first time. 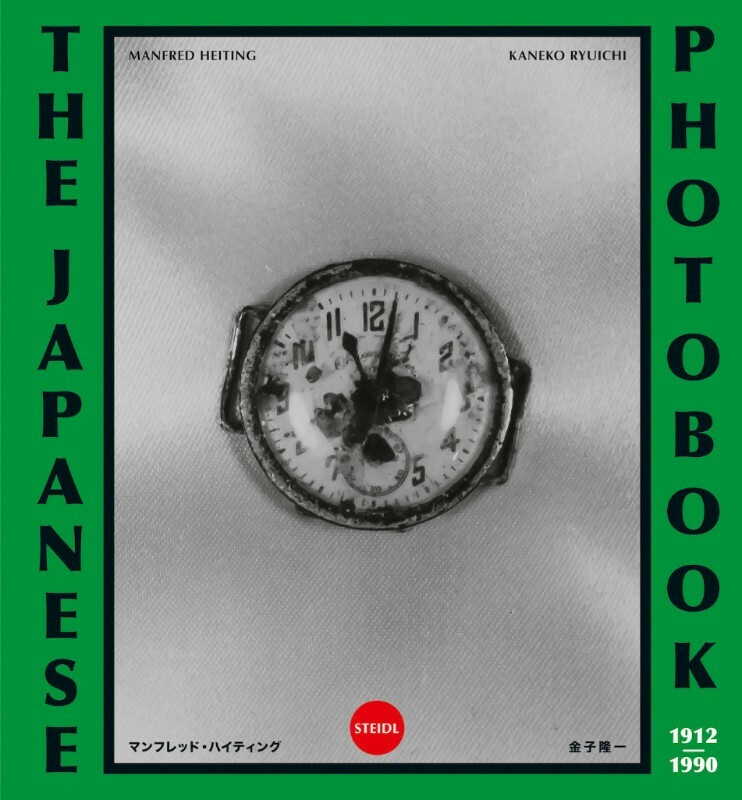 They were created over a seventy-year period, from the early 1890s to the late 1950s, showing that pictorial photography did not disappear after the First World War, contrary to what the history of photography traditionally lead us to believe. The narrative has changed and a new history must be taken into account acknowledging the permanence of the pictorialist ideals. These ideals were built on a shared ambition: to create photographs that wanted to do more than simply reproduce the real, photographs that truly interpreted it, like an artist’s vision. 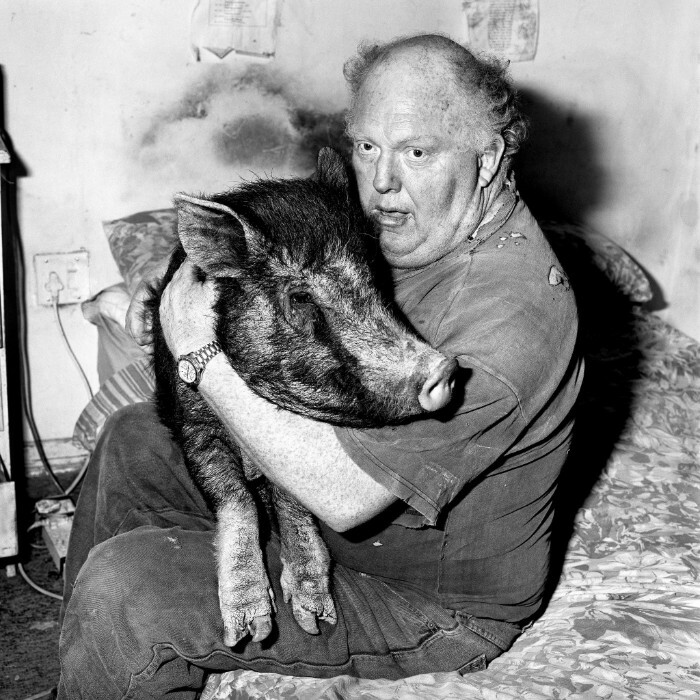 Roger Ballen grew up immersed in the photography world. 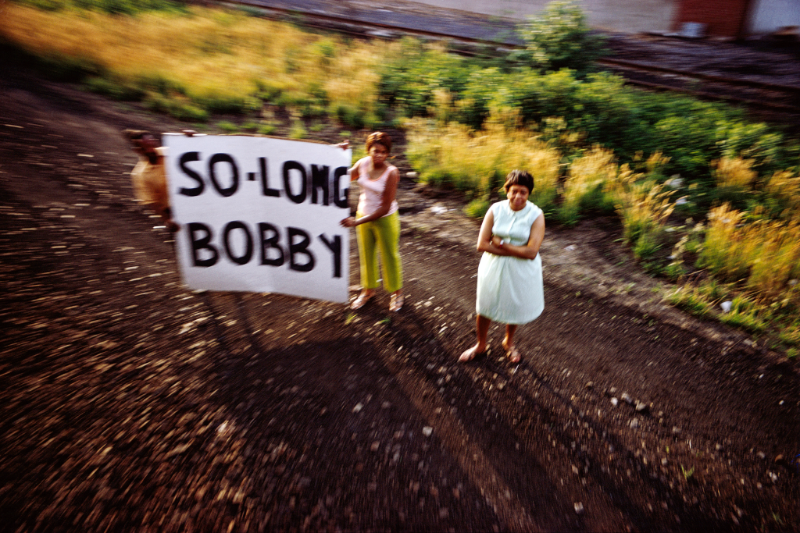 His mother, Adrienne, was an editor at Magnum, and the walls of his childhood home in Rye, N.Y., were filled with her colleagues’ images. 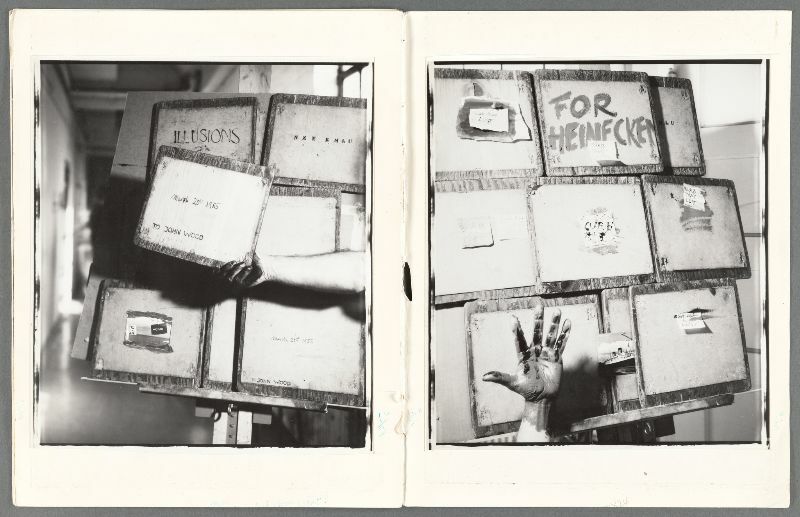 “By the time I went out to photograph seriously, which was around the age of eighteen, I had a clear idea of the level I was aiming at,” Mr. Ballen, 68, writes in “Ballenesque, Roger Ballen: A Retrospective,” the first retrospective book of his career, which Thames & Hudson published in October. 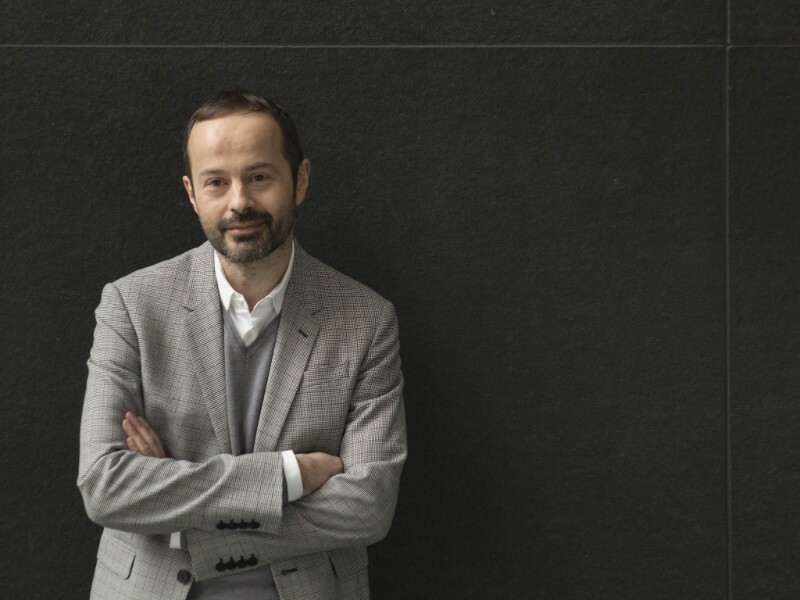 The Getty Museum has announced the appointment of James A. Ganz to Senior Curator of Photographs. 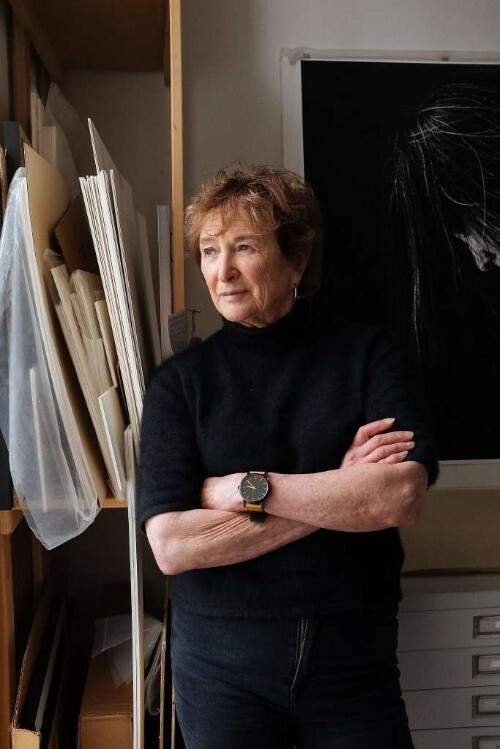 Ganz will oversee the museum’s renowned collection of nearly 150,000 photographs, which represent the history of the medium from its inception to the present day. 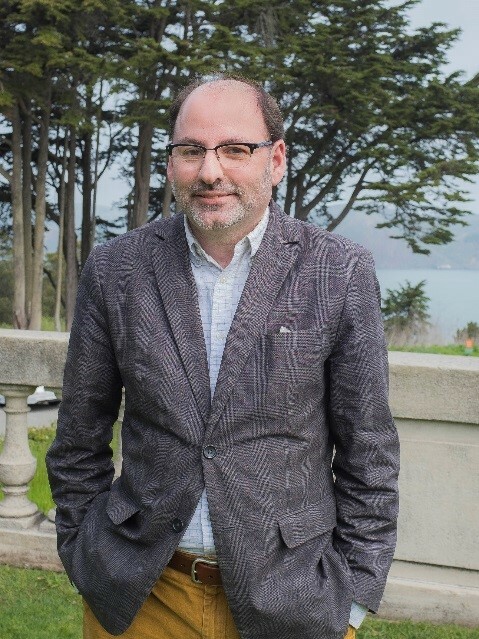 He joins the Getty after ten years at the Fine Arts Museums of San Francisco, where he served as Curator of the Achenbach Foundation for Graphic Arts. 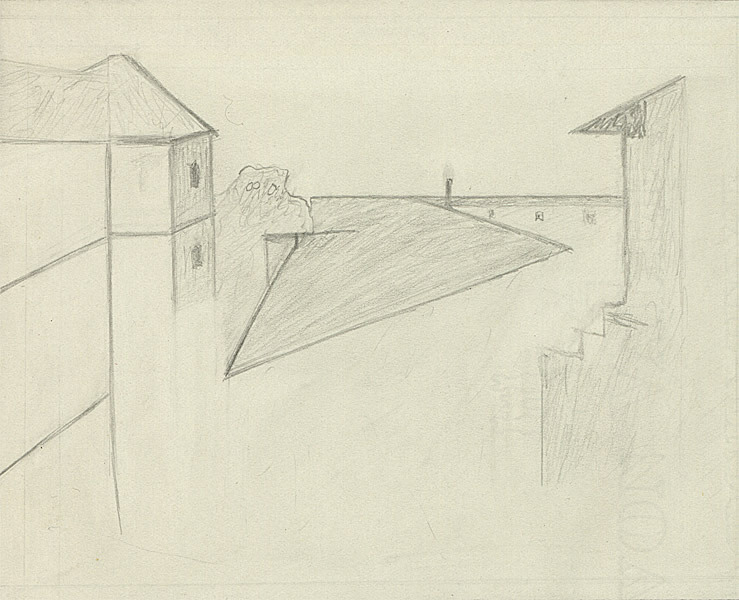 Ganz received his Ph.D. in art history from Yale University, his M.A. from Williams College, and his B.A. from Trinity College. 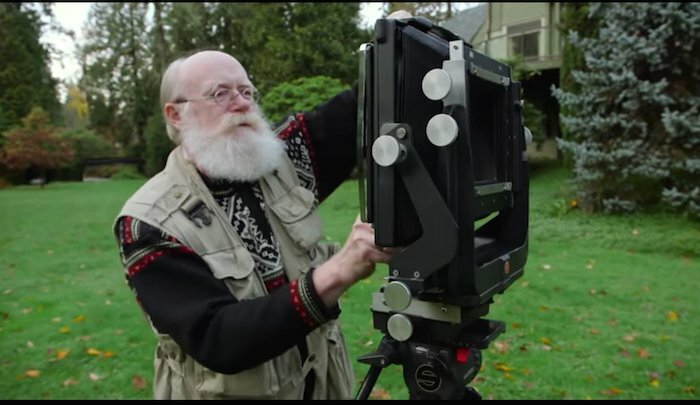 His specializations include 19th-century European and American photography, as well as California-based photographers, including Carleton Watkins, Eadweard Muybridge, Willard Worden, Peter Stackpole, and Arnold Genthe. 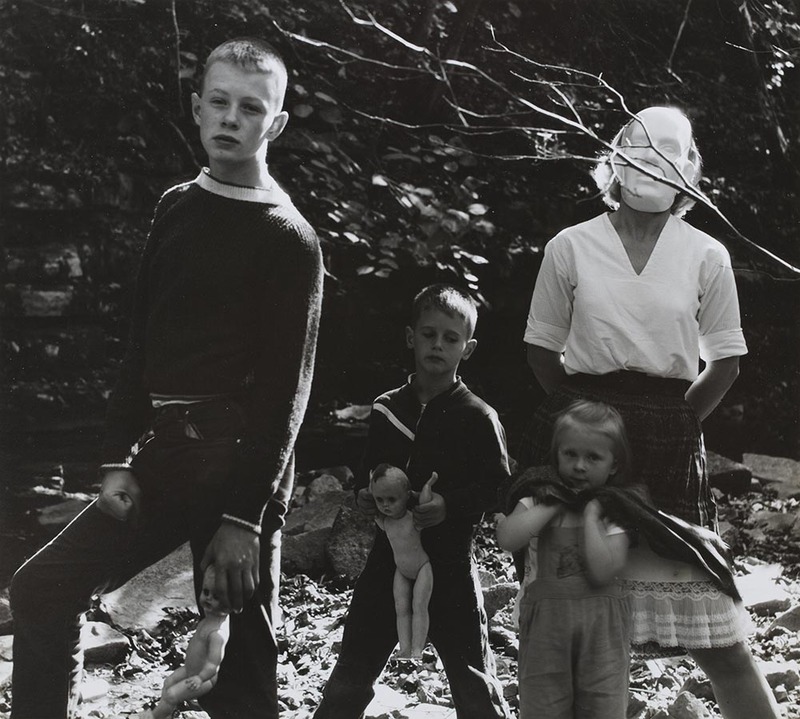 Prior to his time at the Fine Arts Museum of San Francisco, Ganz was a curator for over ten years at the Sterling & Francine Clark Art Institute in Massachusetts, where he established the collection of photographs. While at the Clark, he taught the history of photography and of prints in the Williams College Graduate Program in the History of Art. 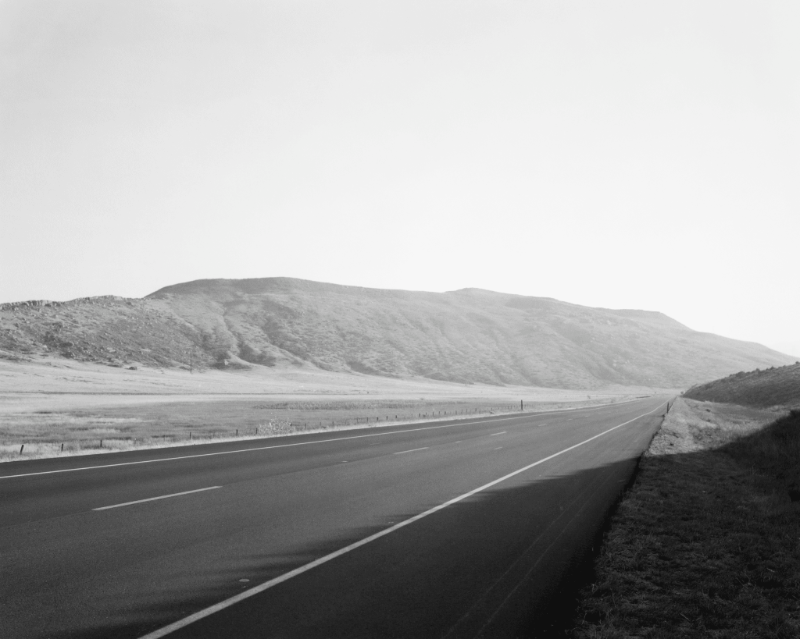 SF Camerawork is proud to present Focal Points, an exhibition of the inaugural CatchLight Fellowship and Everyday Bay Area photography project, produced by CatchLight in partnership with United Photo Industries. 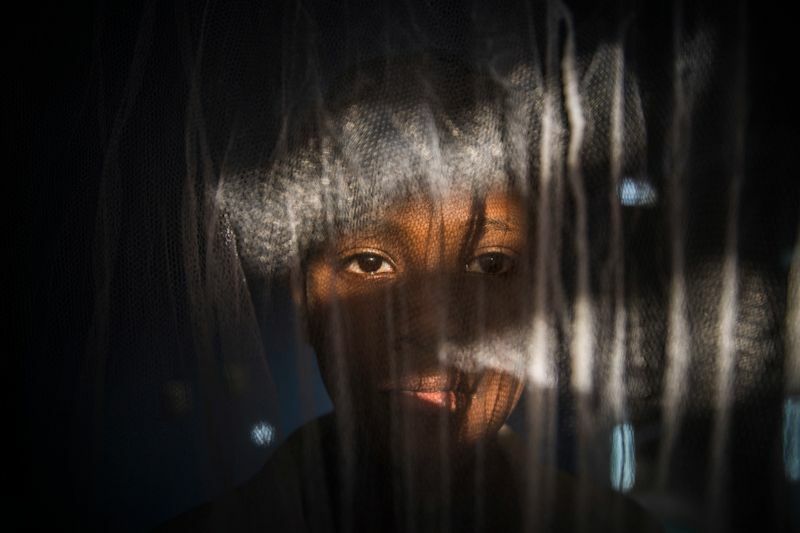 CatchLight is a San Francisco Bay Area-based non-profit that annually recognizes three exceptional photographers who bring awareness to challenging social issues. 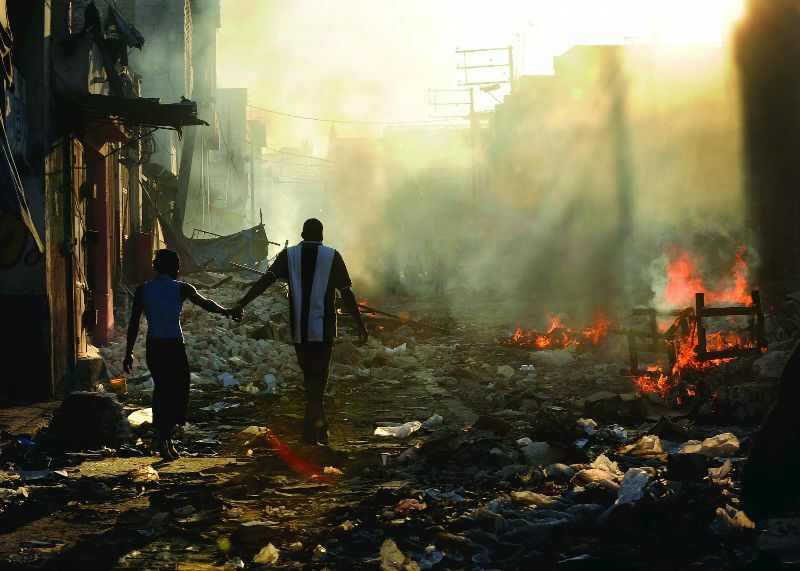 Featuring work from the 2017 CatchLight fellows, Tomas Van Houtryve, Sarah Blesener, and Brian L. Frank who were each paired with a media partner—the Pulitzer Center for Crisis Reporting, The Center for Investigative Reporting, and the Marshall Project, respectively, along with local artists from the Everyday Bay Area Collective, this traveling exhibition explores how visual storytelling has the power to drive social change. 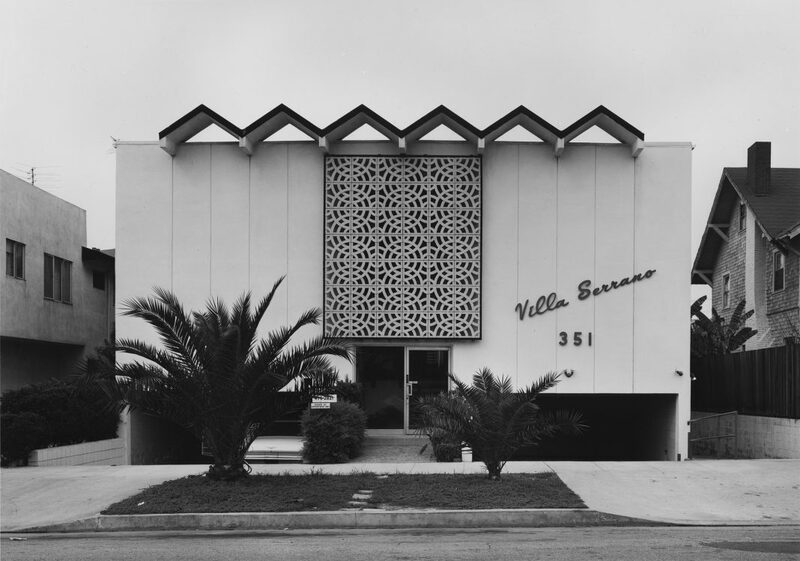 In conjunction with On-Site: Neighborhood Partnerships with the Los Angeles County Museum of Art, LACMA presents an exhibition at the Vincent Price Art Museum featuring a recent donation of works by Mexican photographer Mariana Yampolsky. 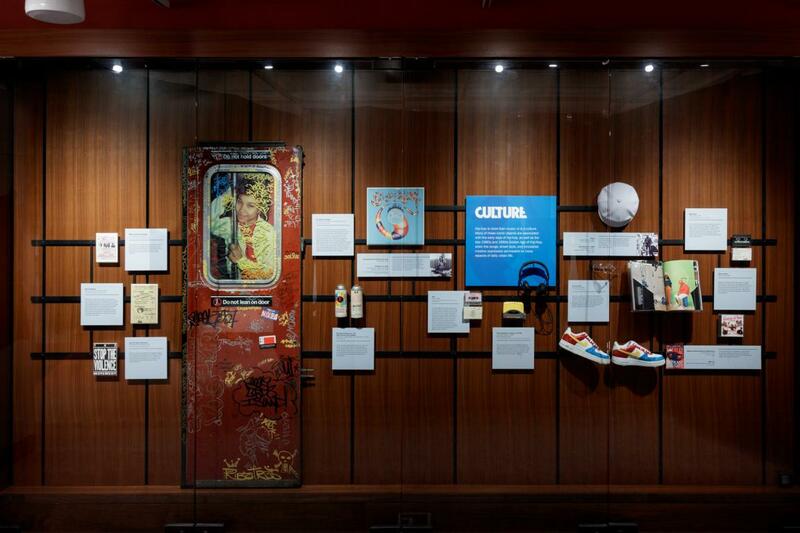 On-Site: Neighborhood Partnerships with the Los Angeles County Museum of Art is a community engagement initiative that creates ways to make LACMA’s programs and collection accessible to the communities of Los Angeles County with the goal of broadening participation in cultural experiences. 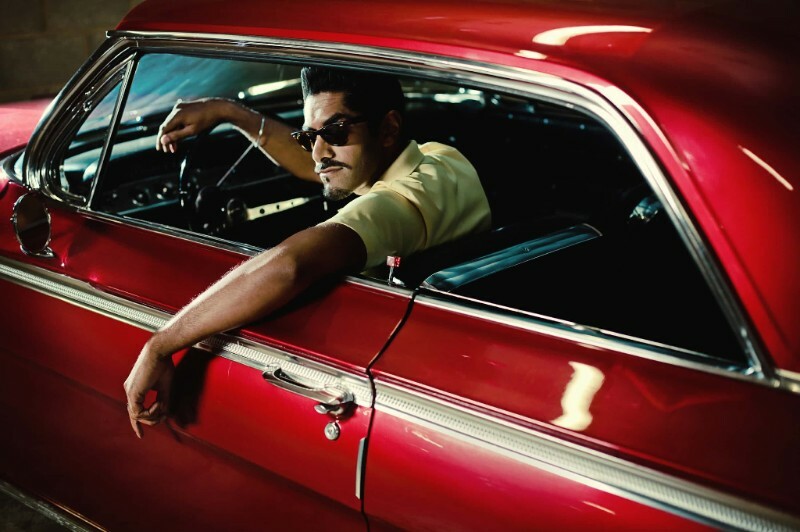 The exhibition and LACMA’s partnership with the Vincent Price Art Museum and East Los Angeles College are important components of the On-Site program. 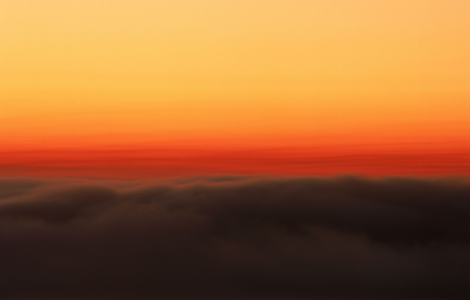 The Oregon-based photographer is best known for producing large-format film prints of American landscapes. Over the past four decades, Burkett and his wife Ruth have lugged cumbersome photo gear across all 50 states to capture scenes ranging from blueberry fields in Maine to sunsets in his home state. “It is awkward. It’s heavy. It’s a struggle with depth of field, a struggle with wind motion. 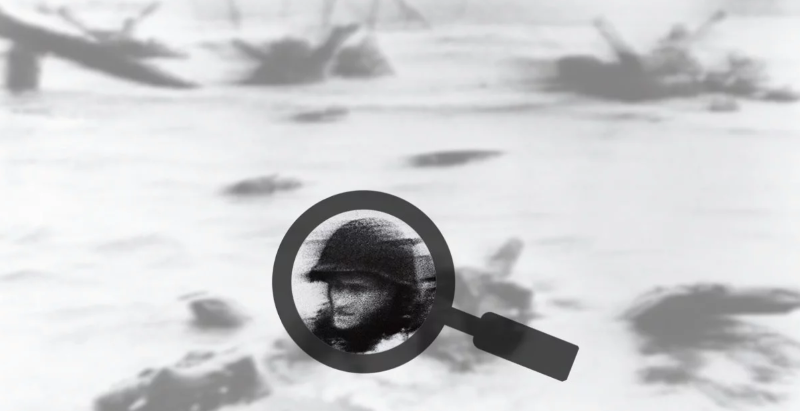 But if you get an image you really have something really in-depth to work with,” Burkett told the PBS Newshour. 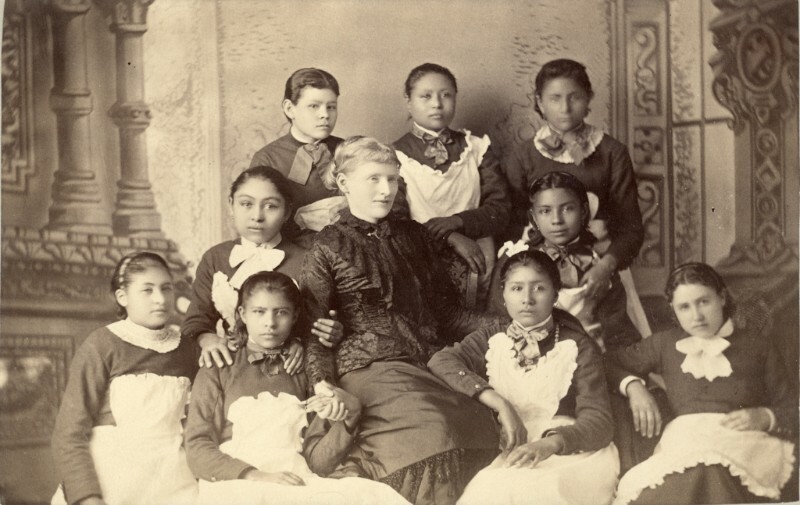 Between 1879 and 1902, a man named John N. Choate served as official photographer for the Carlisle Indian School, a federally-funded boarding school in Pennsylvania established to assimilate Native American children into Euro-American culture. 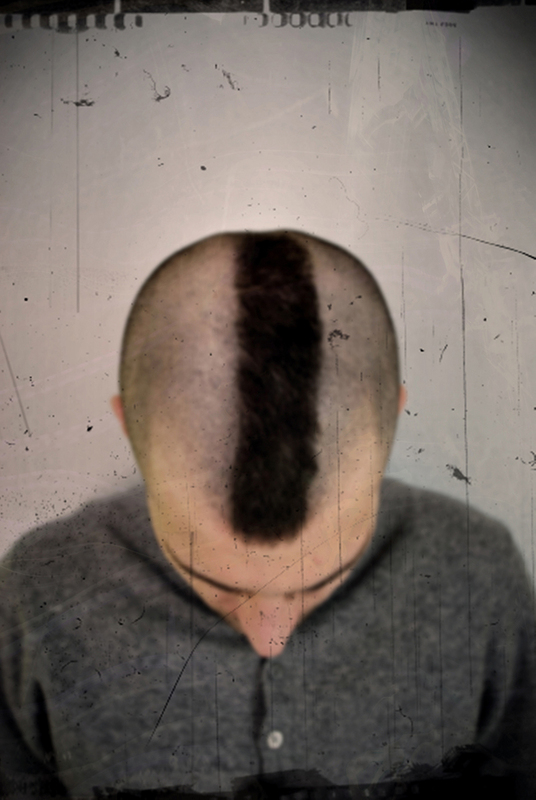 Enrollment of indigenous youth was essentially a way to “civilize” them; the pithy motto of its founder, General Richard Henry Pratt, was “Kill the Indian, and save the man.” Choate, who was non-Native, often documented how students changed over as they received new haircuts and attire and shed aspects of their own culture. 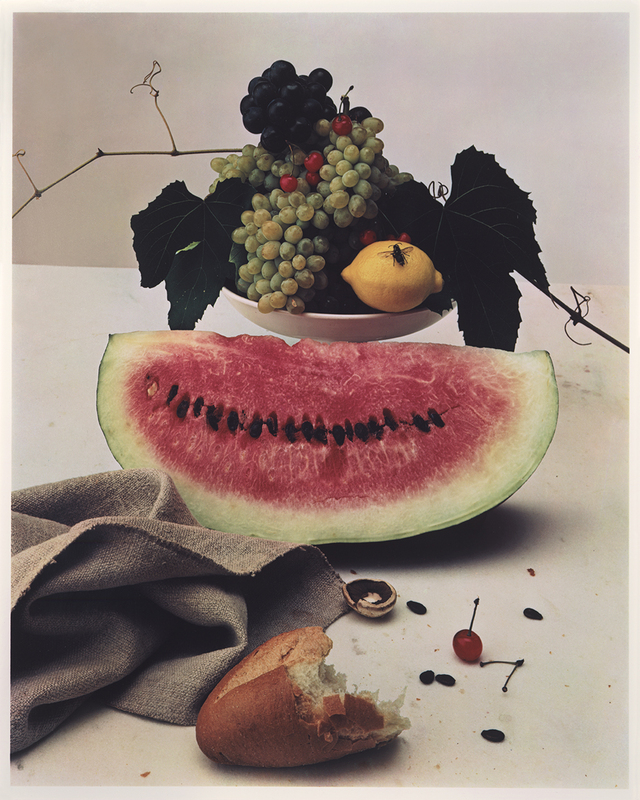 The world’s first photographic experiments, pictures by 20th-century greats Alfred Stieglitz and Edward Steichen, recent acquisitions by Linda McCartney gifted by Paul McCartney and his family, and newly commissioned works by Thomas Ruff, will go on display this autumn as part of the V&A’s new Photography Centre. 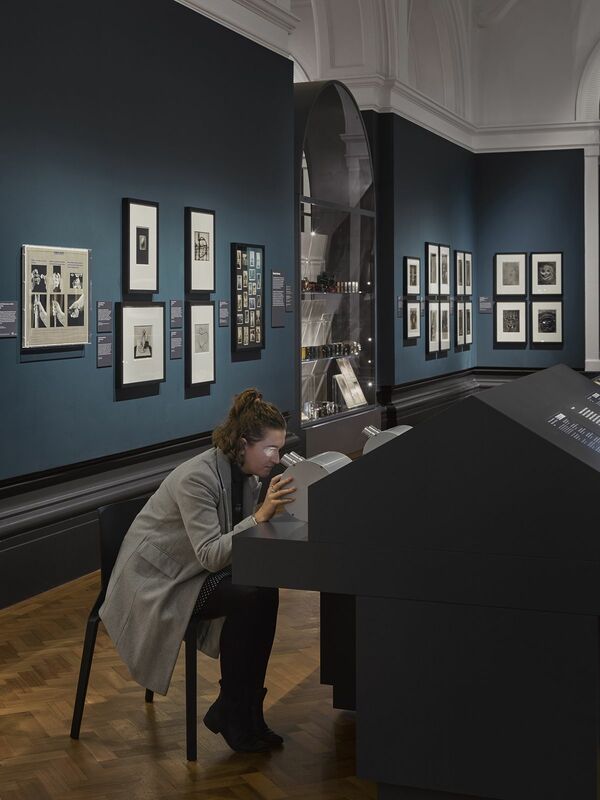 Opening on 12 October, the first phase of the Photography Centre, designed by David Kohn Architects, will more than double the space dedicated to photography at the V&A. 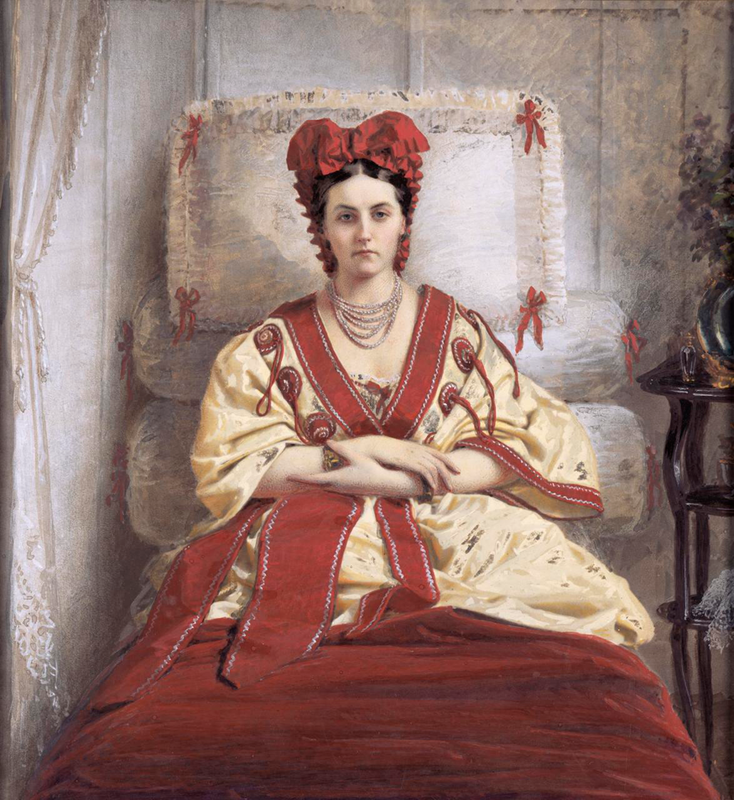 The inaugural display will trace a history of photography from the 19th century to the present day through the theme of collectors andcollecting. Drawn from the V&A’s significantly expanded holdings, following the transfer of the Royal Photographic Society (RPS) collection, the display will show seminal prints and negatives by pioneers William Henry Fox Talbot, Julia Margaret Cameron and Frederick Scott Archer, alongside camera equipment, photographic publications and original documents to tell a broader story of international photography. It will also feature a digital wall to show the most cutting-edge photographic imagery. 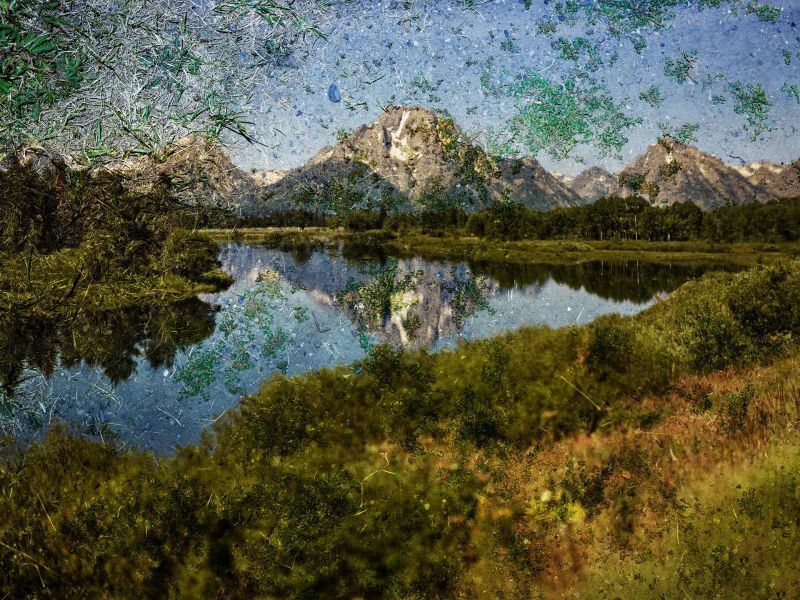 Ruwedel has spent many years photographing the North American landscape. The works in this display span 1995–2012 and include images of abandoned railways, nuclear testing sites and empty desert homes. 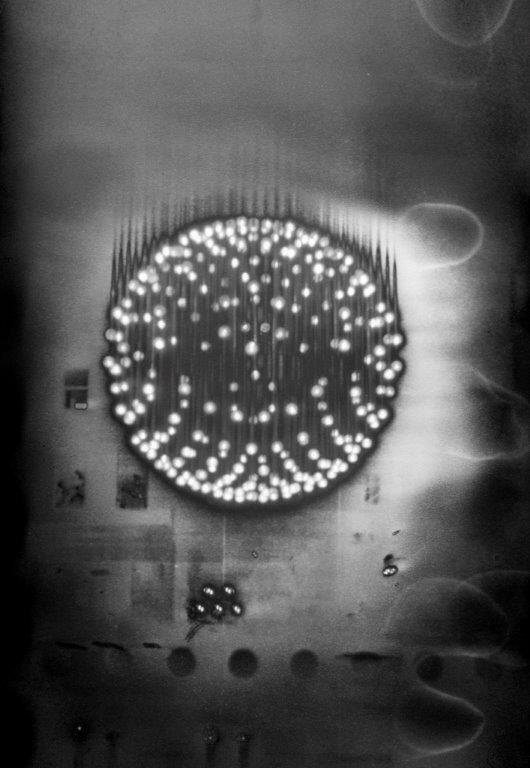 Ruwedel merges documentary and conceptual methods of imagemaking. 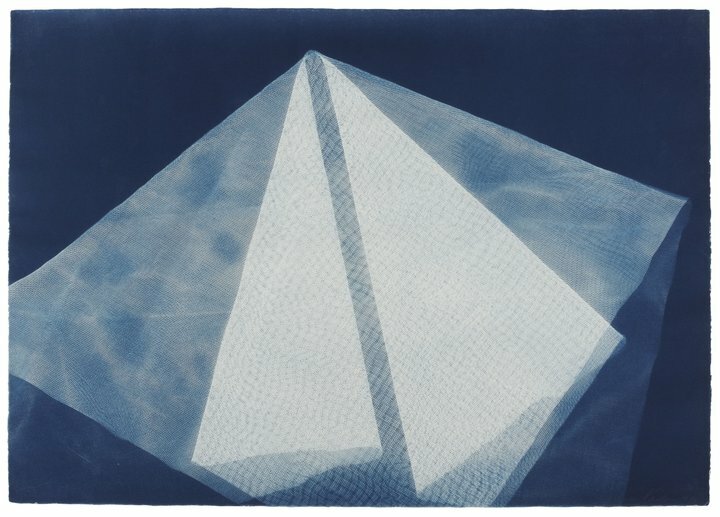 He repeatedly photographs the same subject or type of subject, an approach that relates to conceptual art practices of the 1960s and 1970s. He is also influenced by land artists who created large-scale outdoor artworks in the late 1960s using materials such as earth and rock. The paintings in the exhibition demonstrate that Photorealism remains undiluted, conceptually coherent, and consistently compelling. 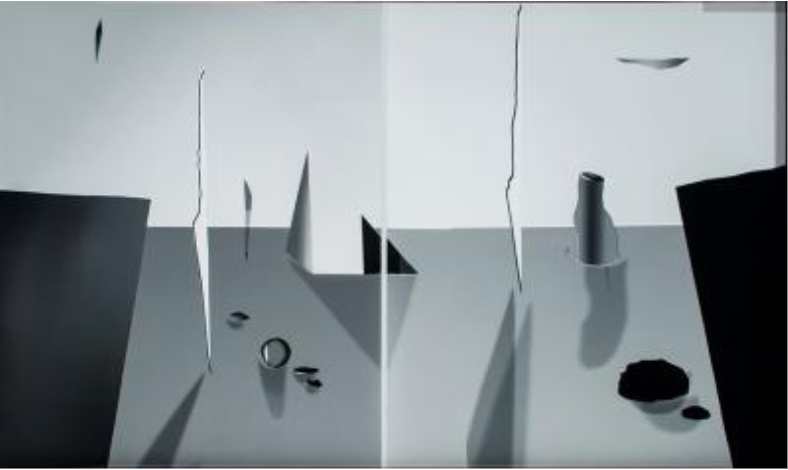 The works can be appreciated for their technique, finesse, and appealing subject matter; but viewers can go deeper and enjoy the complexity and contradictions, the multiple means of an entrance that Photorealism affords. On an August morning in 1951, two American women met for the first time in the corridor of the Hotel Berchielli in Florence. 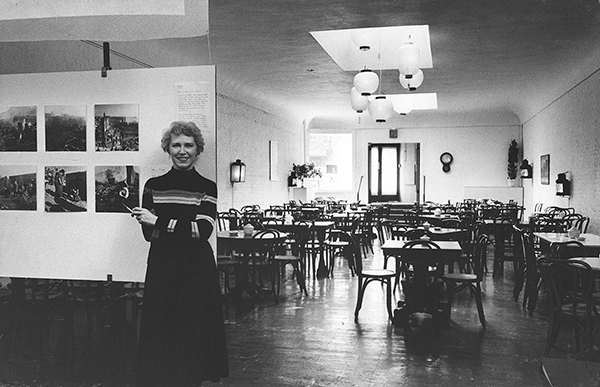 Ninalee Allen, who was known as Jinx, was a vacationing nursery-school teacher. 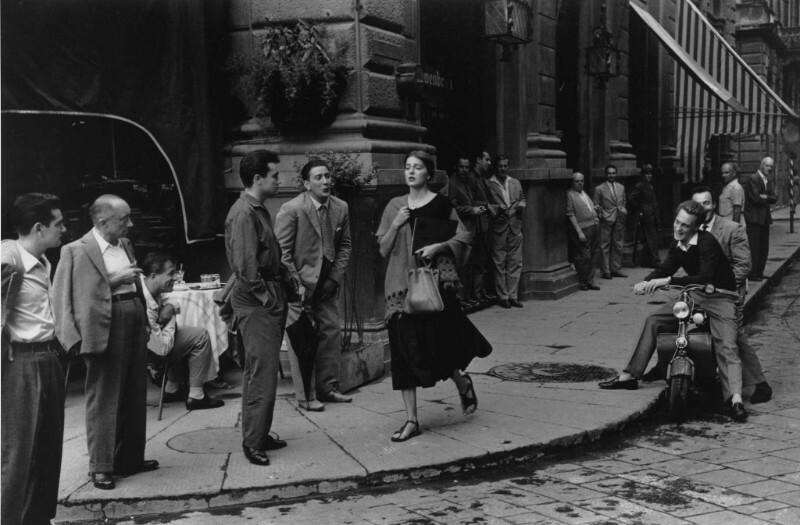 Ruth Orkin was a freelance photojournalist who, after chatting with Ms. Allen, asked if would she would pose for a photo essay about women traveling alone. Join us June 7 – 10 in the nation’s capital as we celebrate the art of photography and the stories behind the images. 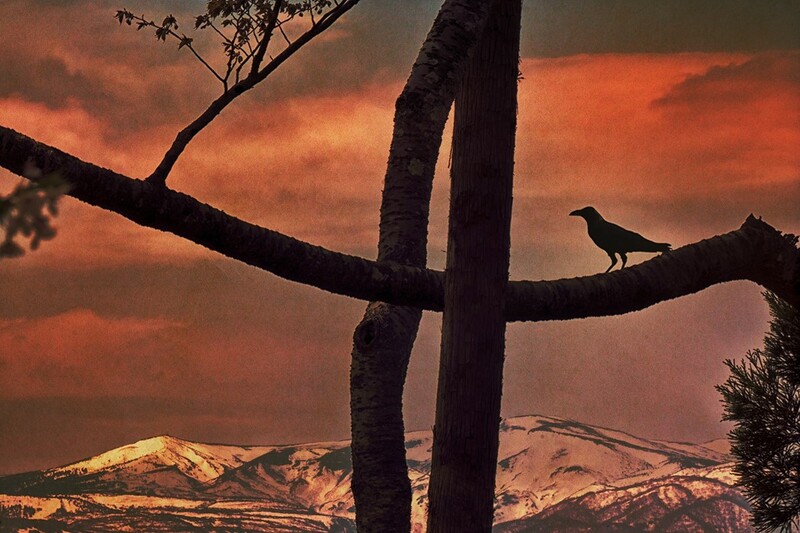 For four days, Focus on the Story will convene some of the top names in photography. We want to bring together a community of photography lovers for a series of outstanding keynote presentations, panel discussions, workshops, exhibits, portfolio reviews, photo walks and community events. Whether you are a professional, amateur, enthusiast or curious, here is your chance to spend four days celebrating, learning, seeing, living and breathing photography. What could be better, right? 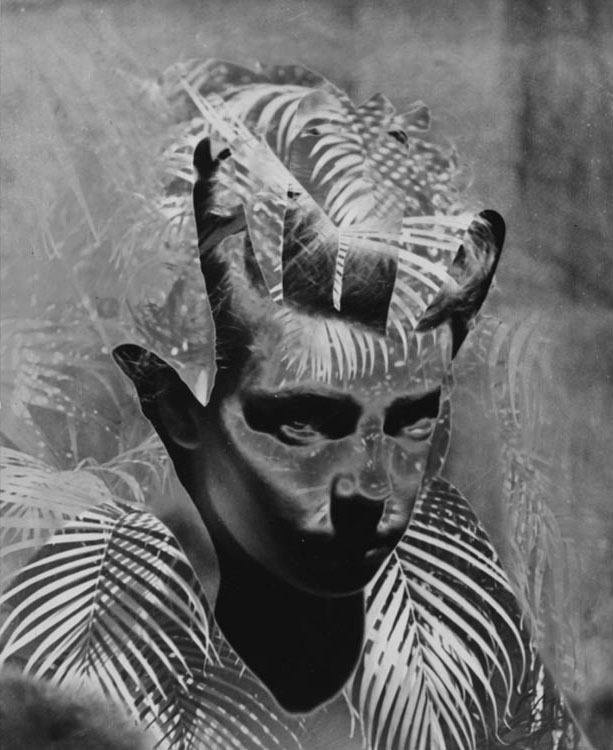 Ex Voto is a personal project by London-based photographer Tomlinson (age 43). 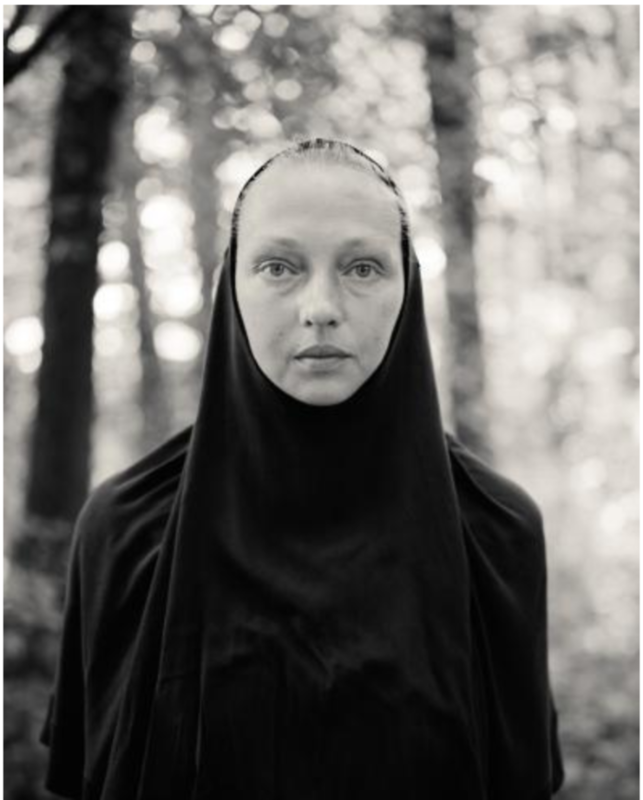 The winning work encompasses formal portraiture, large format landscape and small, detailed still-life images of the ‘ex-votos’ (offerings of religious devotion) found at pilgrimage sites of Lourdes (France), Ballyvourney (Ireland) and Grabarka (Poland). 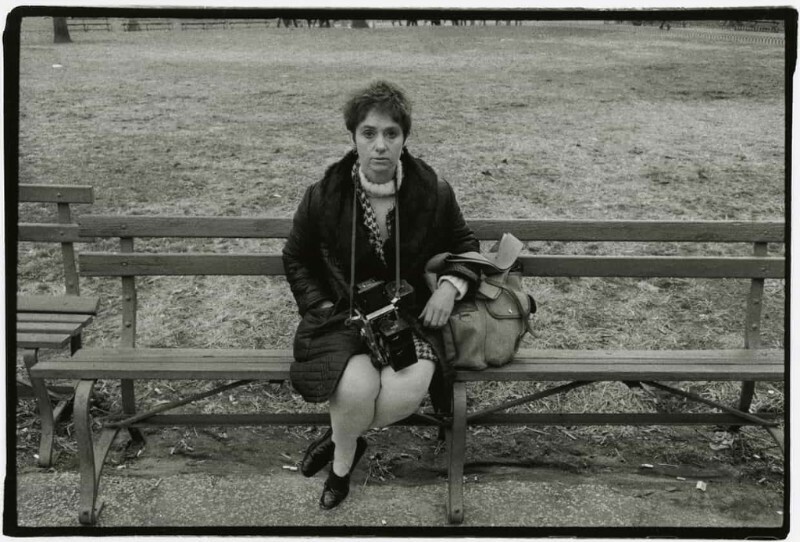 In 1970, Diane Arbus was a struggling magazine photographer in New York City. 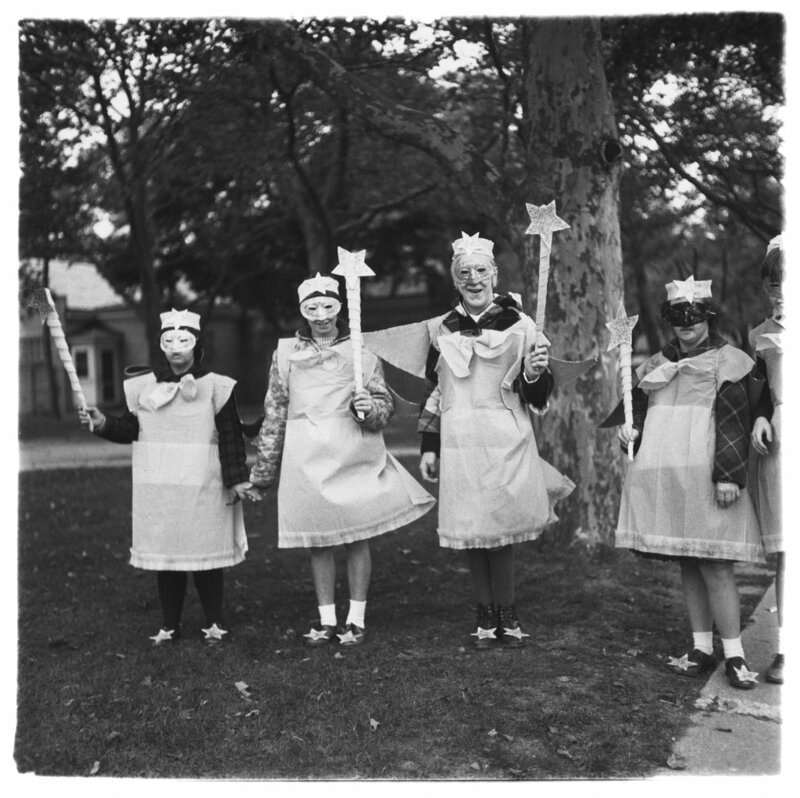 She wanted to make more money, so she put together a series of photos in a plexiglass box, which she called “A box of ten photographs by Diane Arbus”, priced at $1,000. In focus galerie, in Cologne, Germany, offers at the moment an exhibition which is a tribute to the beauty of women. 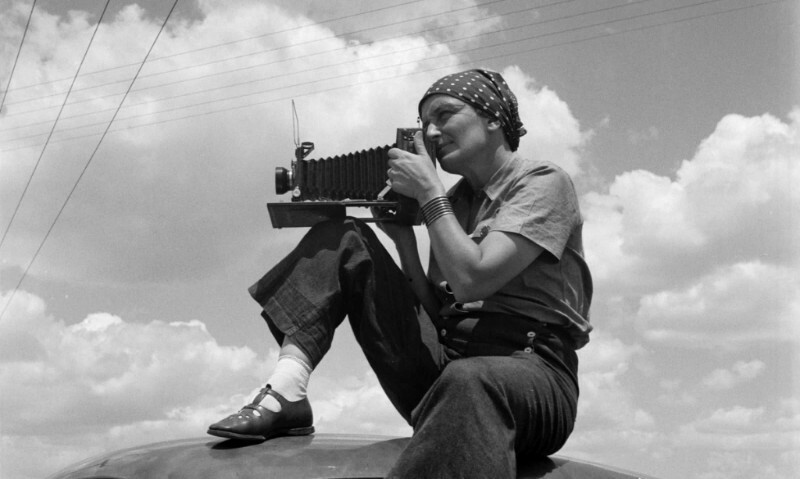 So beautiful takes the viewer on a journey from 1940 up to today to discover photographs – in humanist, fashion, or conceptual contexts – that focus on the beauty of women. It takes the liberty to focus on elegance and aesthetics in the #MeToo discussion and is also a reaction to the tendency in contemporary photography, to show every day and uninspired things and events. 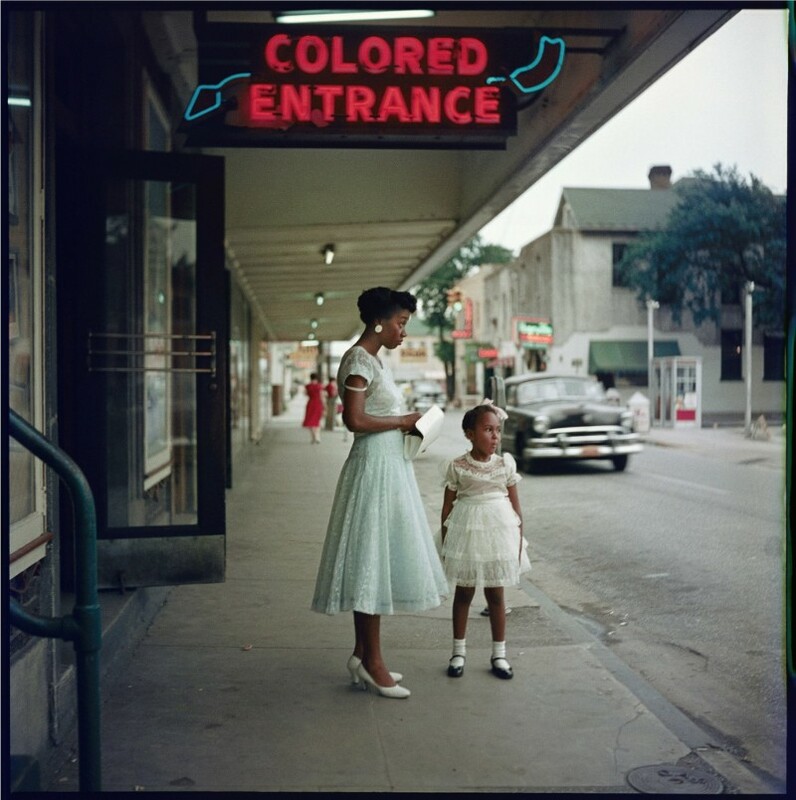 The Colorado Photographic Arts Center is pleased to present Segregated Influences, an exhibition that explores the complex history of race in America through the photographs of Wendel White, Distinguished Professor of Art at Stockton University, and Tya Alisa Anthony, a Denver-based visual artist. 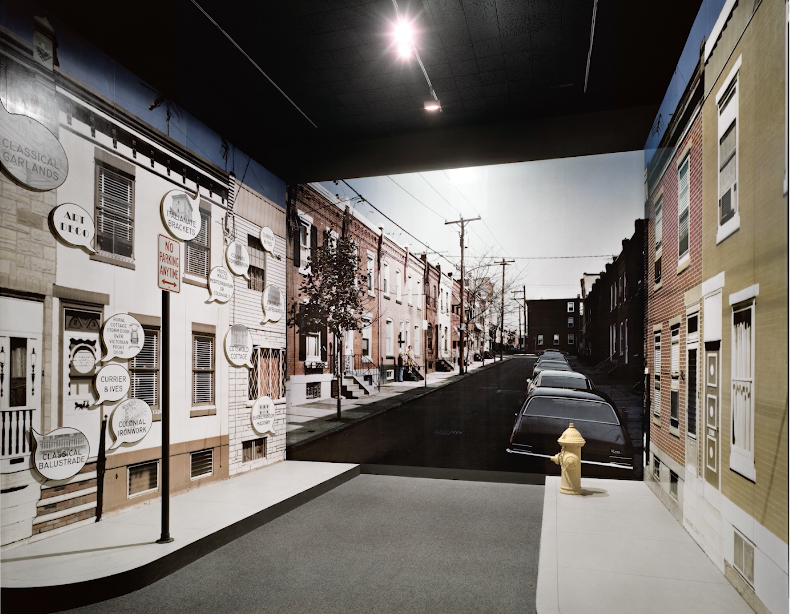 In Schools for the Colored, White photographs the architectural remains of structures once used as segregated schools for African Americans in New Jersey, Pennsylvania, Ohio, Indiana, and Illinois. 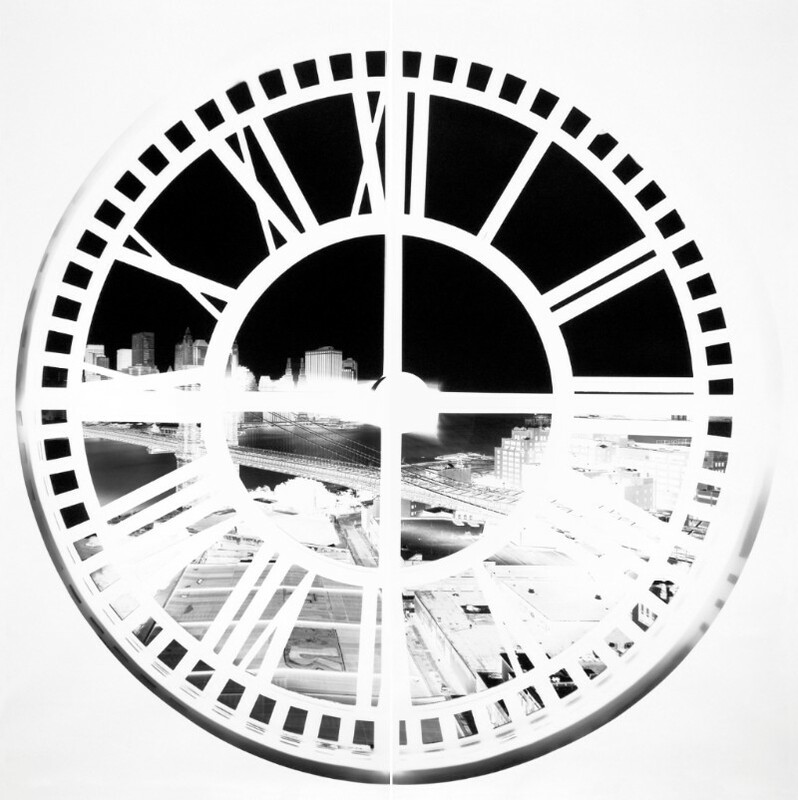 The exhibition presents 20 black-and-white images of school buildings that appear isolated from their surrounding landscapes, which are obscured from view using digital techniques. This technique is a representation of W.E.B. DuBois’ famous concept of “the veil,” a metaphor for the divide that separates the lives of black and white Americans. 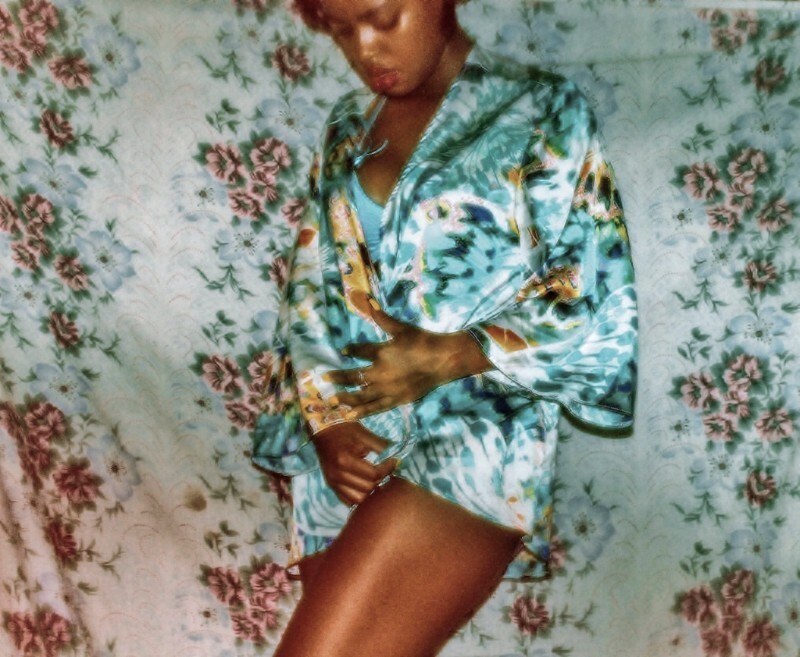 Anthony’s ongoing series, Complexion, confronts the results of colorism perpetuated within the history of the media. Colorism, distinct from racism, involves discrimination against persons based on skin tone, regardless of their perceived racial identity. 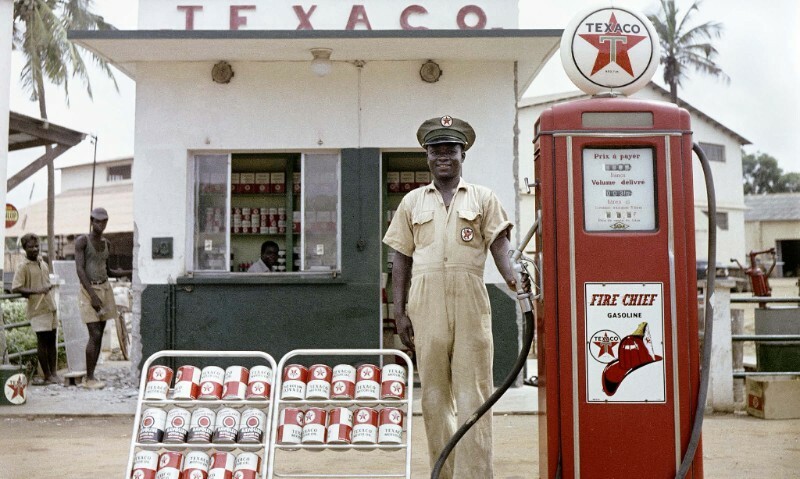 Drawing from the archives of the historically African-American lifestyle digest, Jet Magazine, Anthony investigates the contrast between images published in the 1950s and today. “Unlike today’s Jet Magazine filled with wealthy black celebrities of various skin tones, in the 1950s they printed much fairer skinned women of color with European-inspired hairstyles and created a complex relationship between what was ‘acceptable’ and reality,” writes Anthony. 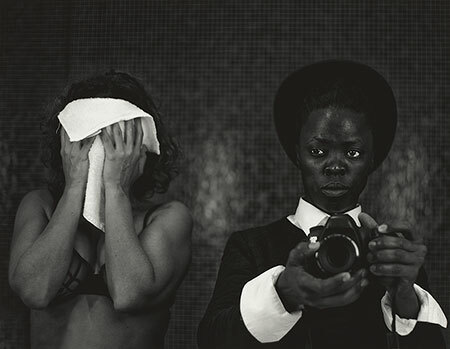 Although each artist takes a vastly different approach, both artists use the power of photography to illuminate America’s complex history of race in ways that can help increase our understanding of social conditions today. 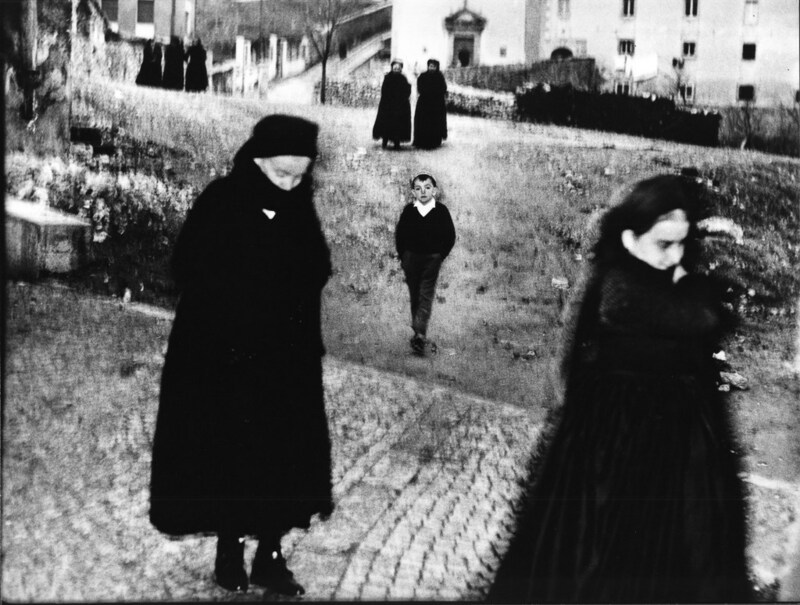 L’Emoi Photographique (The Photographic Emotion) is a photography festival that takes place in Angouleme in France from March 24 to April 29, 2018. The festival this year has three guests: ORLAN, Joana Choumali and Gerard Chauvin. 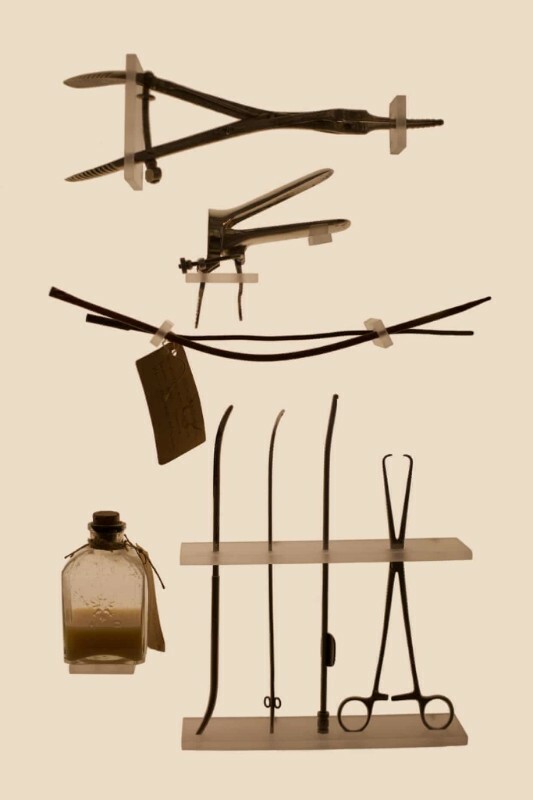 It offers a program of twenty-eight exhibitions around the theme “The body from every angle”. Twenty-eight exhibitions whose diversity is the essence of the festival. 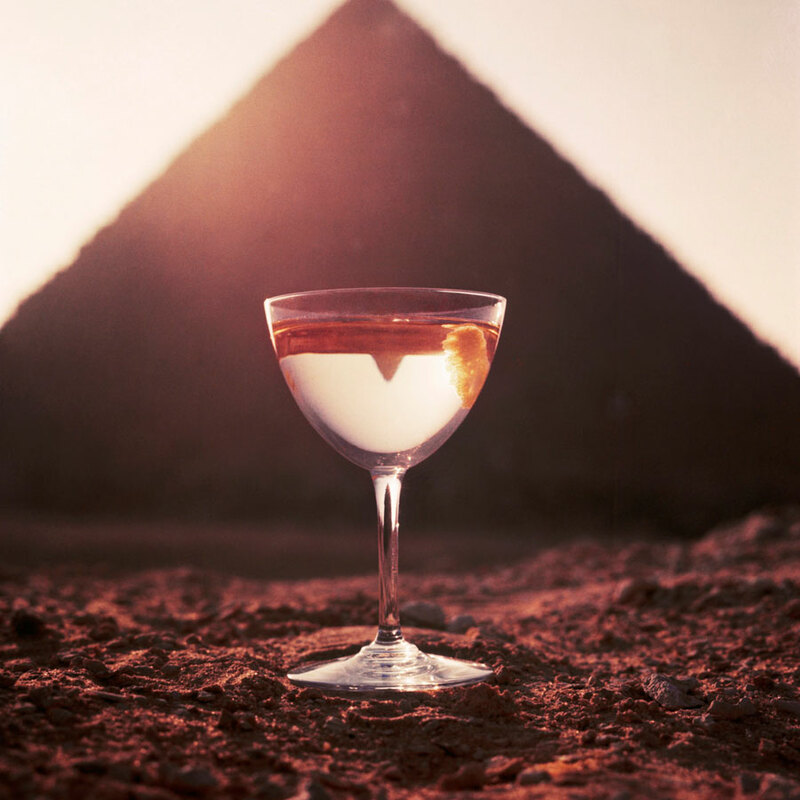 The Eye of Photography invites you to discover a selection of photographs from the exhibition. 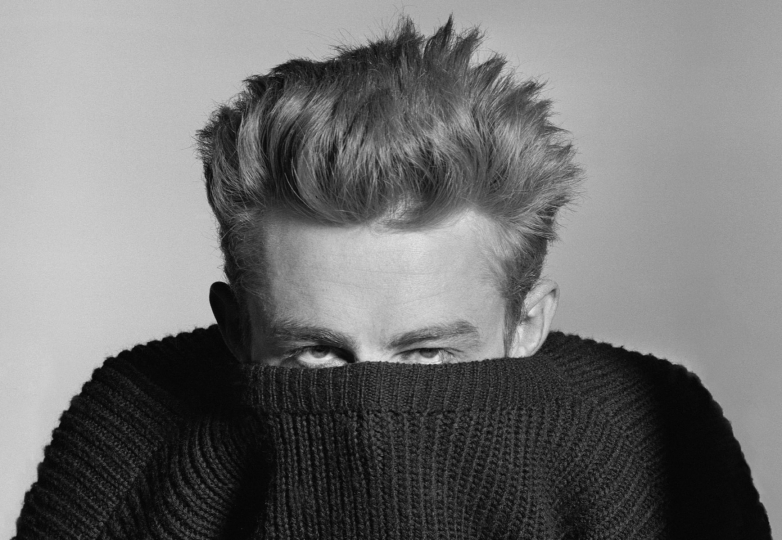 This retrospective exhibition commemorates the 80th birthday of the distinguished Czech photographer and provides a cross-section of his entire oeuvre. 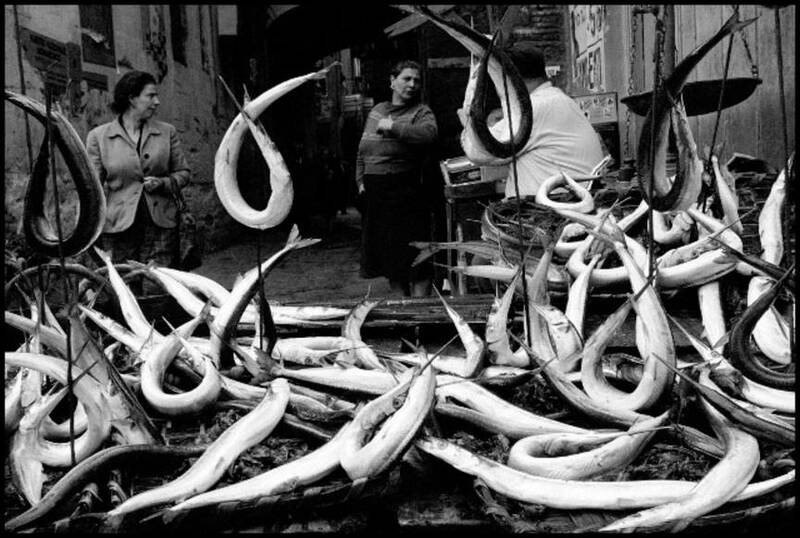 About 400 works that Josef Koudelka donated to this museum will form the backbone of the exhibition. Complementing the selection will be picture loans from the Magnum Photo agency, hand-picked by the photographer and curator Irena Šorfová. 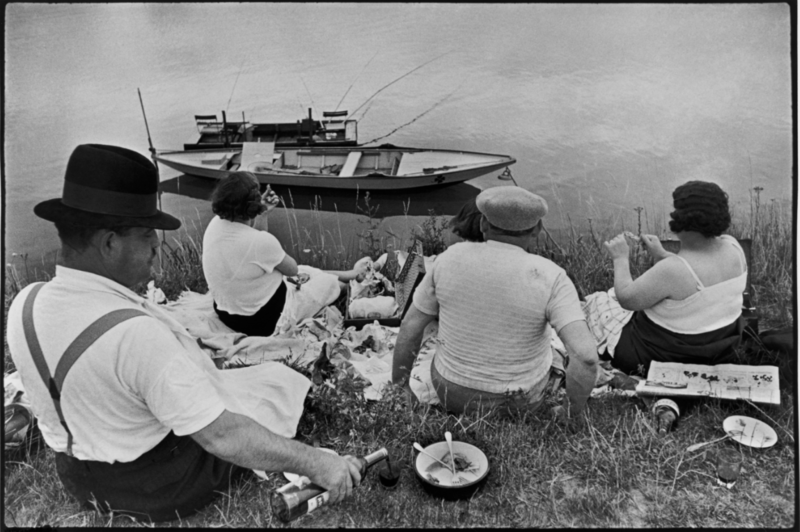 Photos of the Soviet Invasion of Czechoslovakia (August 1968) will be prominently featured, along with original pictures and documentary materials from Josef Koudelka’s archive. 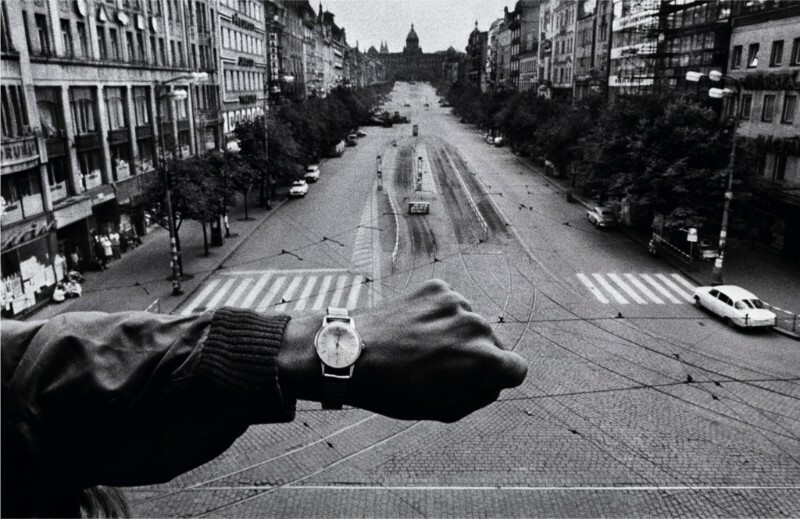 Two books will be published in Czech and English: one a catalog of Koudelka’s donated works; the other presenting a few selected series from the exhibition, essays and a biography of the artist. 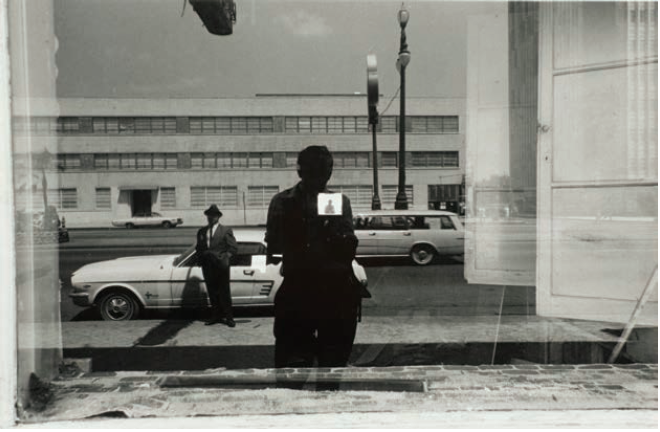 Lee Friedlander was born in 1934 and graduated from the Art Center College of Design in Pasadena, California, in 1956. 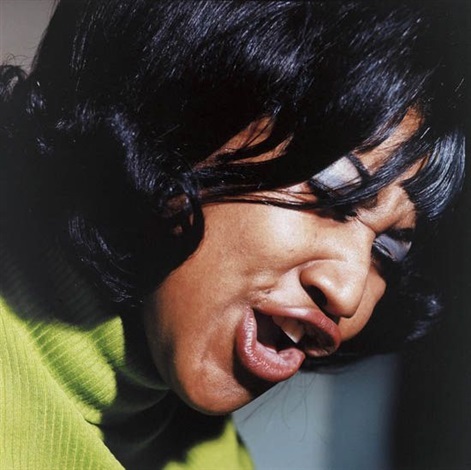 That year he moved to New York City where he began photographing jazz musicians for Atlantic Records. 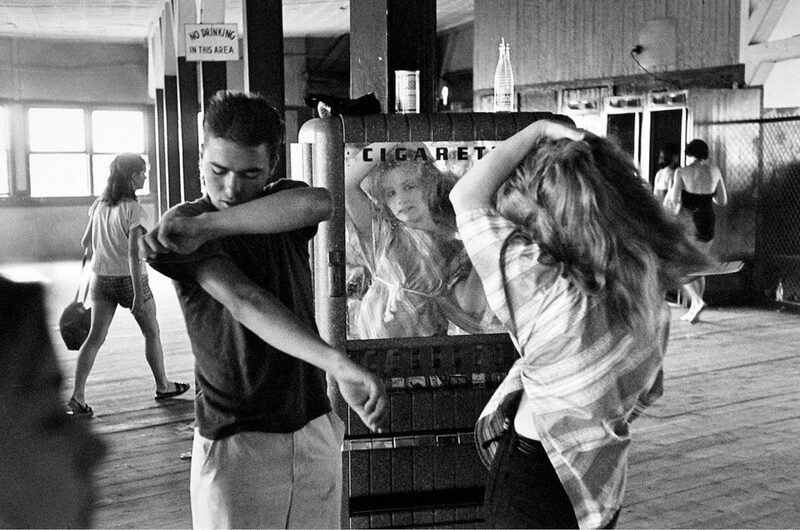 Although he has always been based in New York, Lee Friedlander has spent time photographing Louisiana, and New Orleans in particular, continually since his first visit in 1957. Through his portraits of famous jazz musicians made into album covers forAtlantic he helped promote jazz internationally, while his portraits of lesser-known artists in their homes have preserved a local history of the genre. 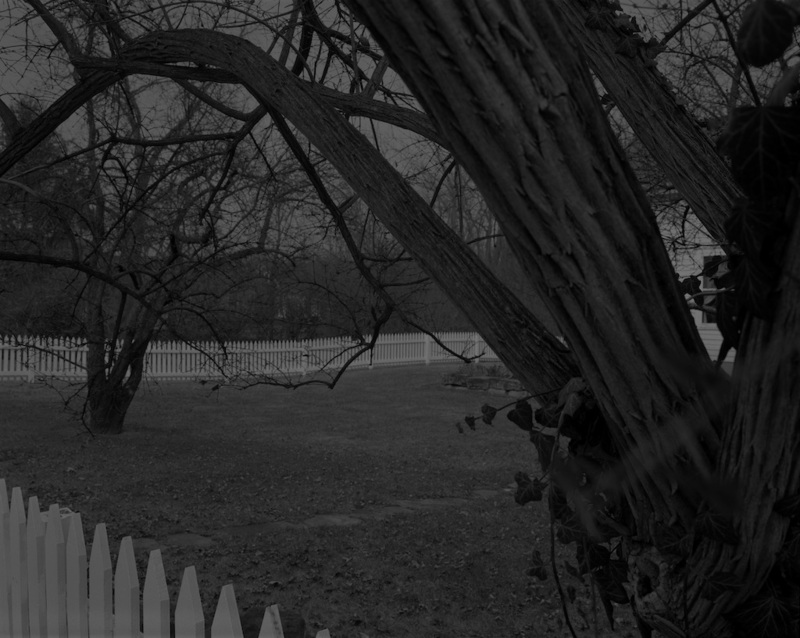 A larger exhibition of the photographer’s works, Lee Friedlander in Louisiana, will open at NOMA on April 27. 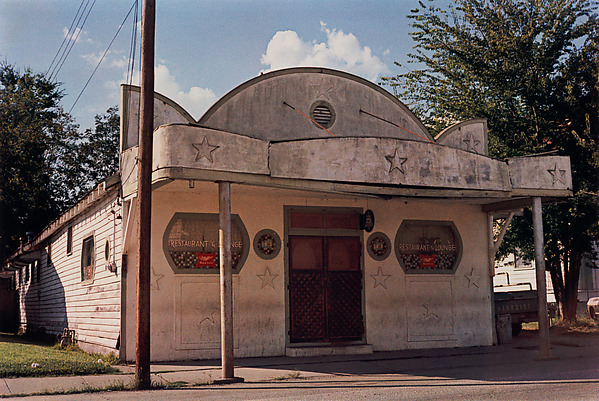 The American photographer William Eggleston (born 1939) emerged in the early 1960s as a pioneer of modern color photography. 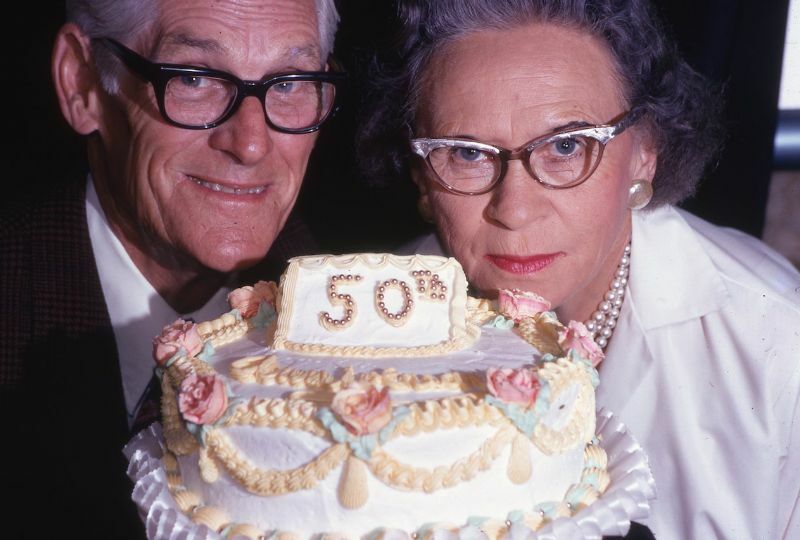 Now, fifty years later, he is arguably its greatest exemplar. 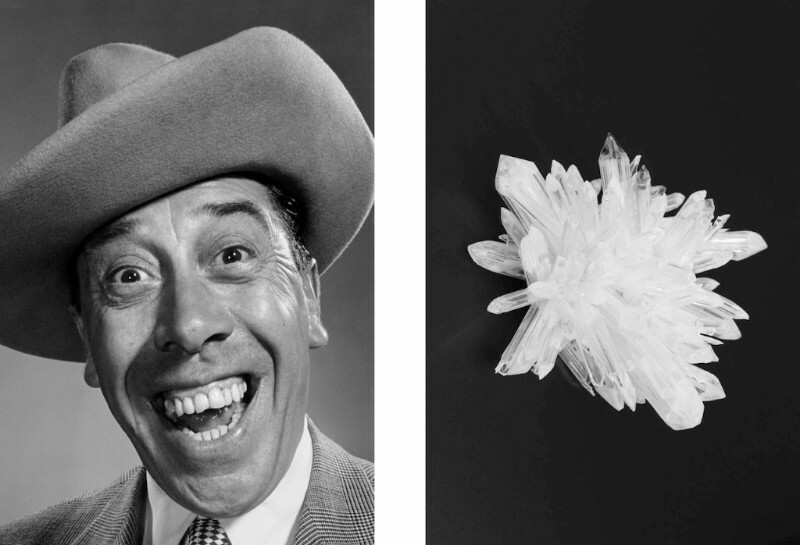 This exhibition features a landmark gift to The Met by Jade Lau of the artist's most notable portfolio, Los Alamos. 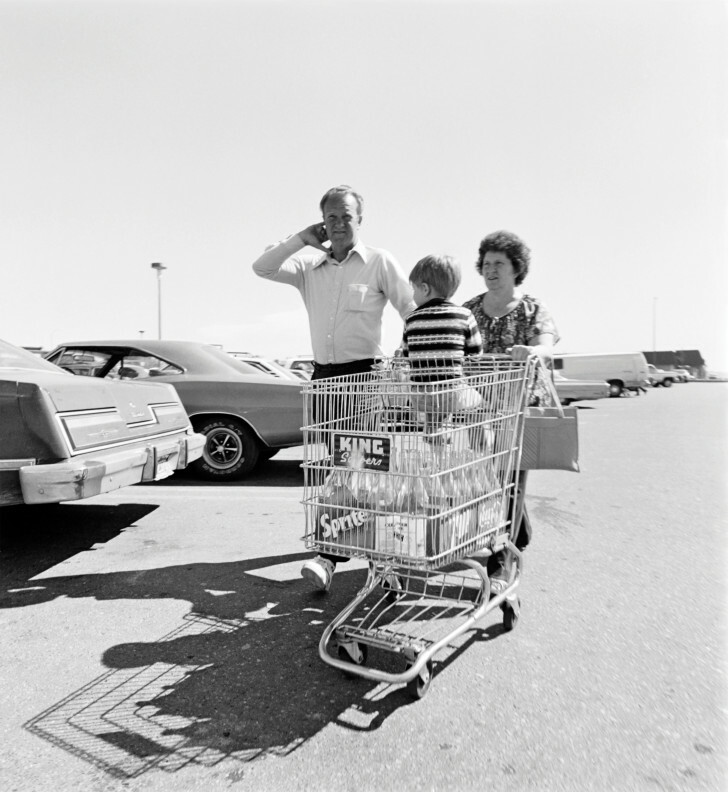 Comprising seventy-five dye transfer prints from color negatives made between 1965 and 1974, the series has never been shown in its entirety in New York City and includes the artist's first color photograph (Untitled, Memphis, 1965) of a young clerk pushing a train of shopping carts at a supermarket in Memphis, Tennessee. The Great British Seaside includes images from the archival collections of each of the photographers, new films, and new work by Martin Parr. 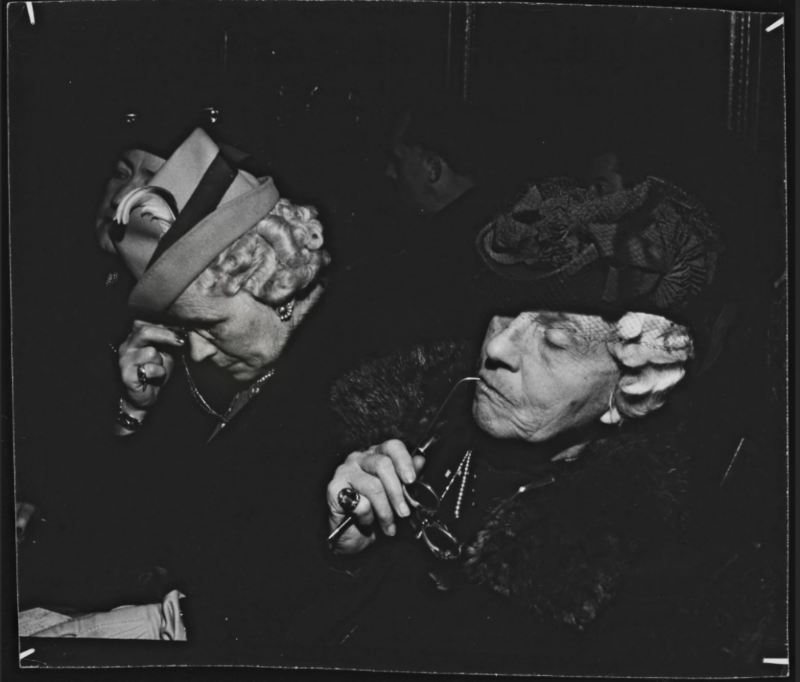 Though a more elusive artist than some of her students, photography teacher Lisette Model’s own work had a voice. 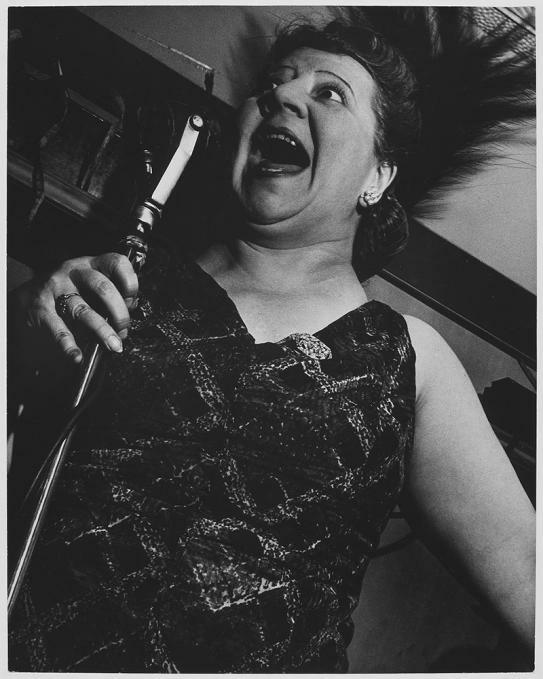 “Their audacity, their humanity and humor are what make her images live on into our time. 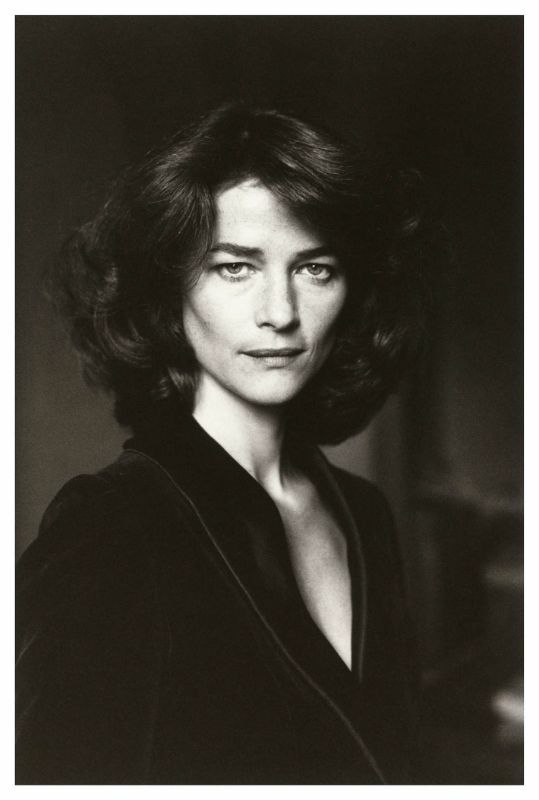 I believe these qualities were also some of the strengths she brought to her teaching — ‘shoot from the gut’ and so on,” Ann Thomas, senior curator of photography at the Canadian Photography Institute, who also wrote an extensive biography about Model, told In Sight.